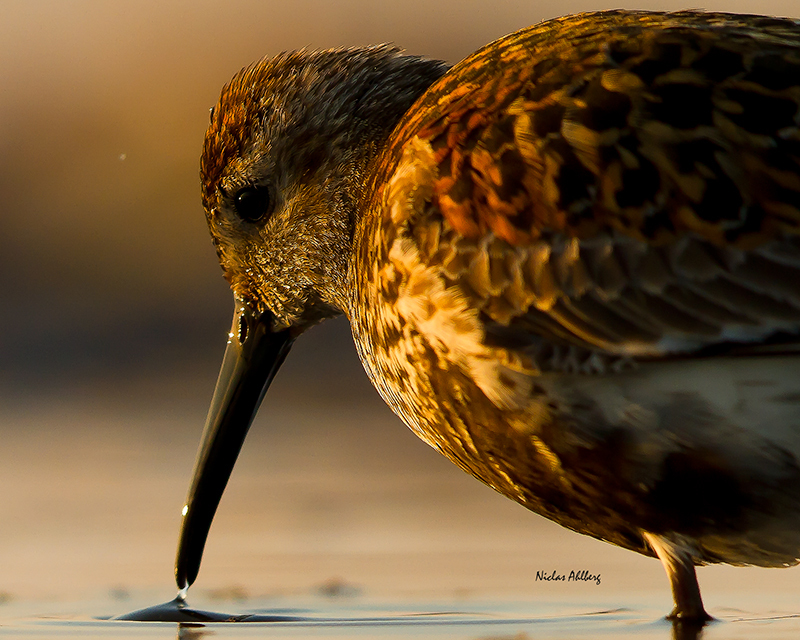 The dunlin (Calidris alpina) is a small wader, sometimes separated with the other “stints” in Erolia. 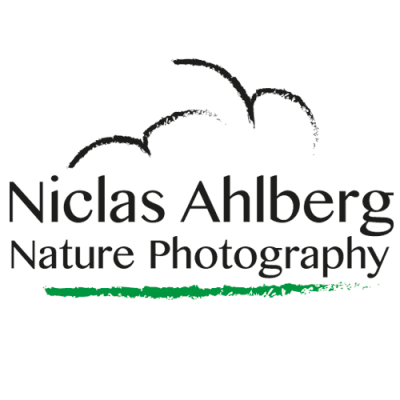 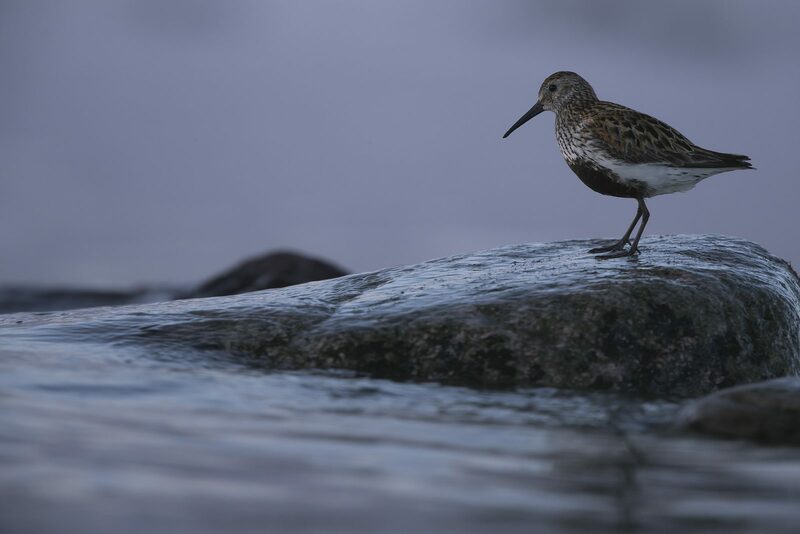 It is a circumpolar breeder in Arctic or subarctic regions. 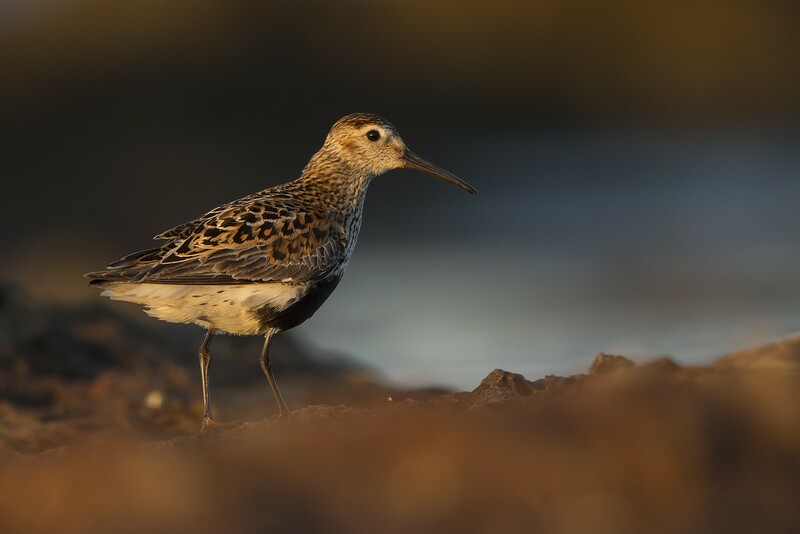 Birds that breed in northern Europe and Asia are long-distance migrants, wintering south to Africa, southeast Asia and the Middle East. 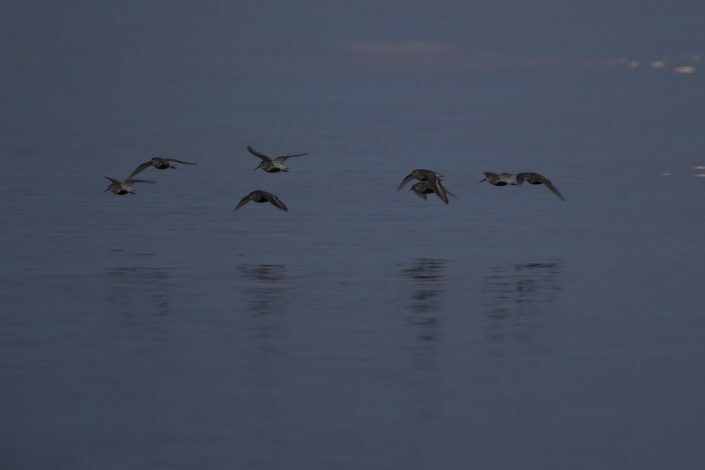 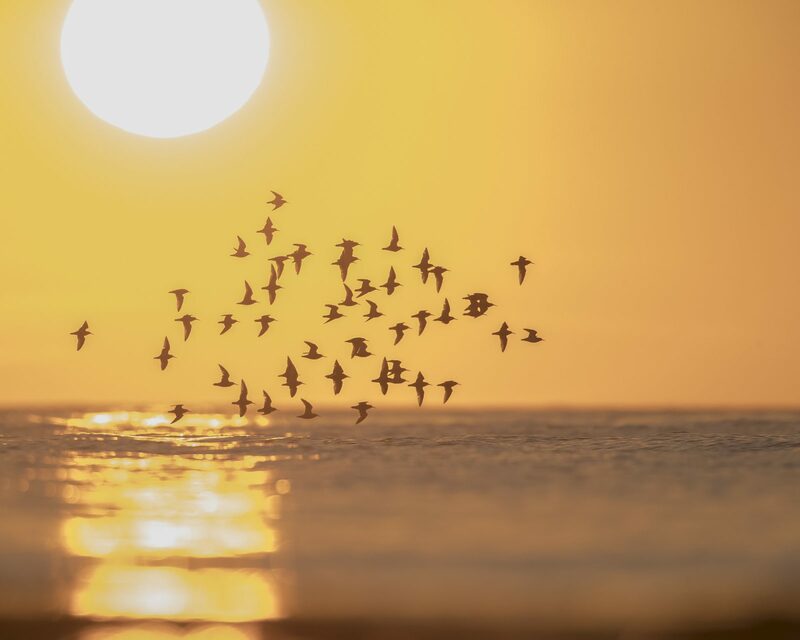 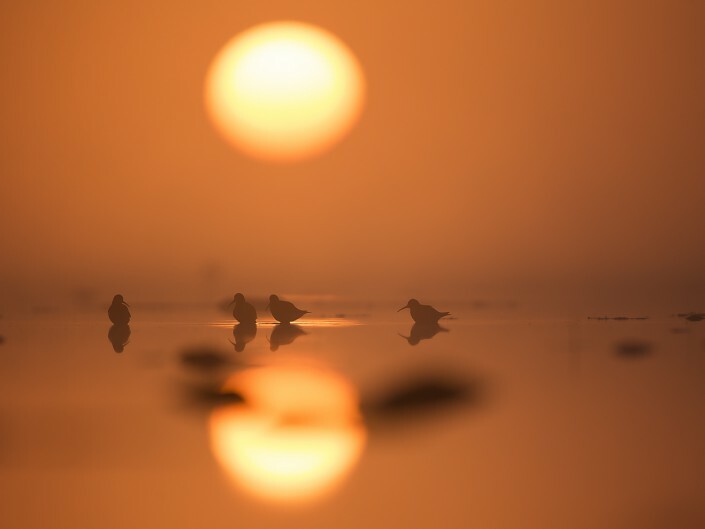 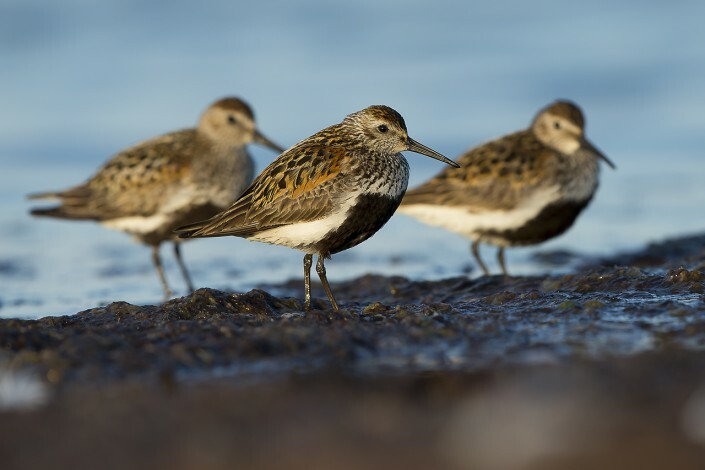 Birds that breed in Alaska and the Canadian Arctic migrate short distances to the Pacific and Atlantic coasts of North America, although those nesting in Northern Alaska overwinter in Asia. Many dunlins winter along the Iberian south coast. 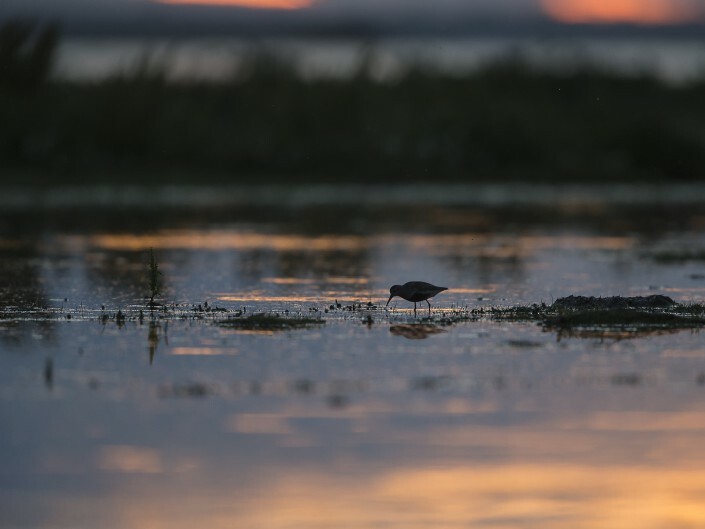 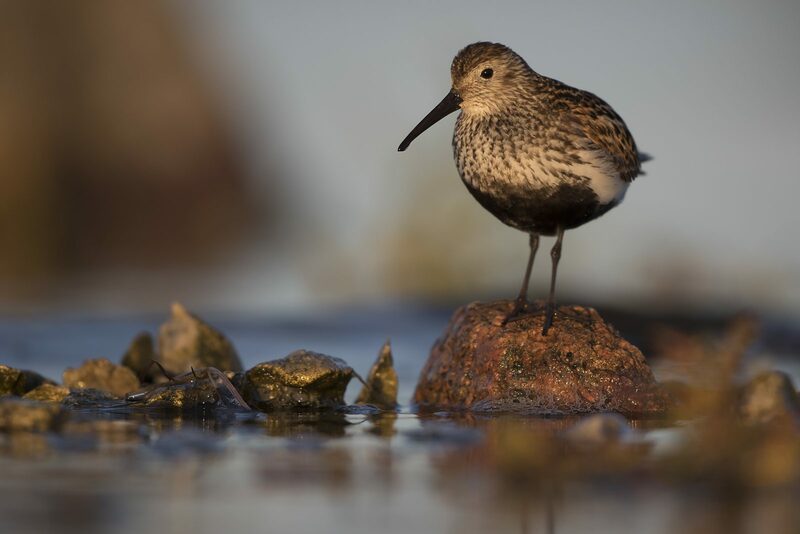 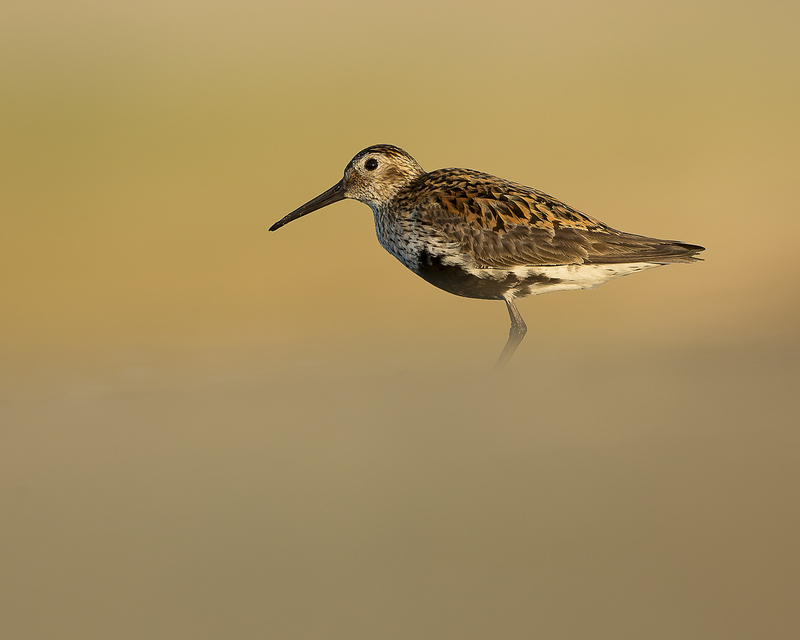 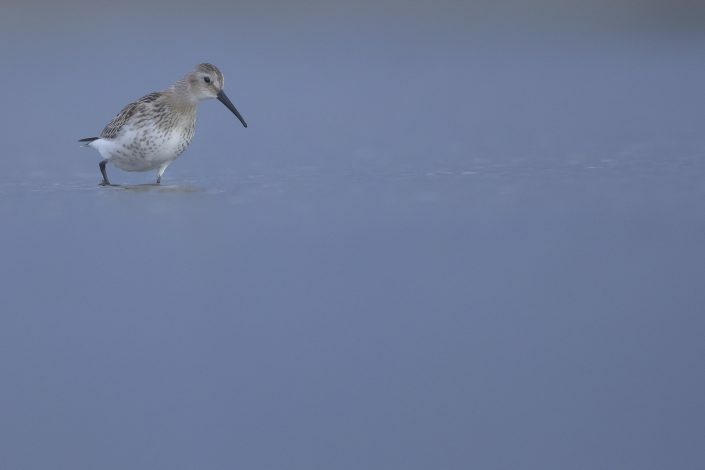 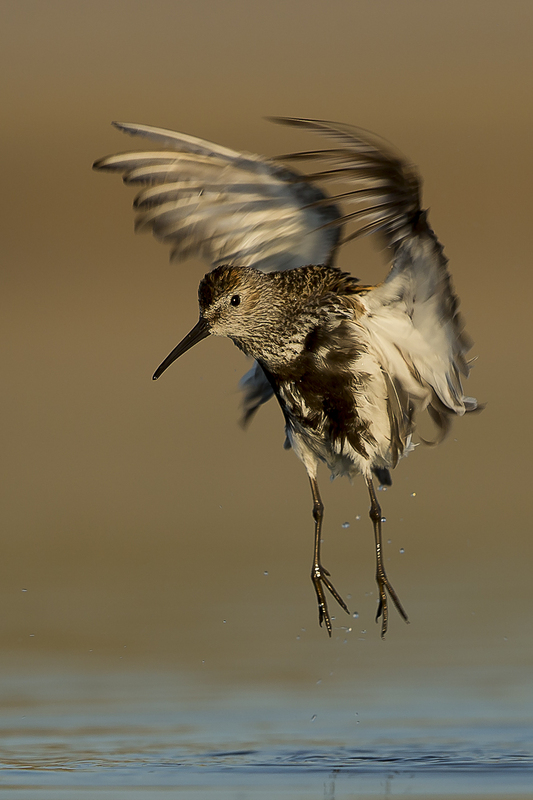 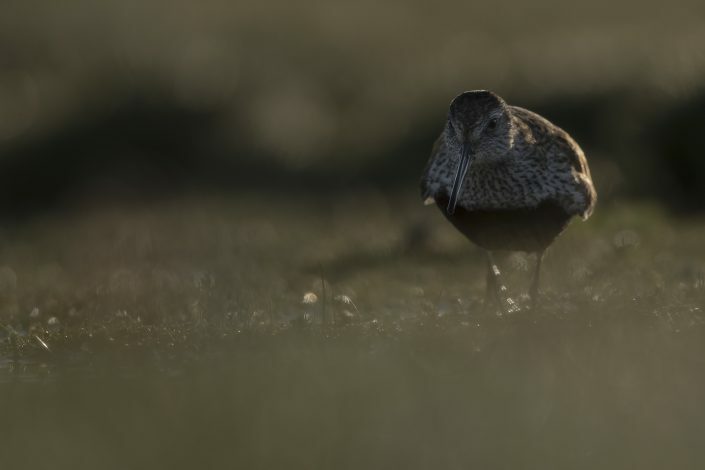 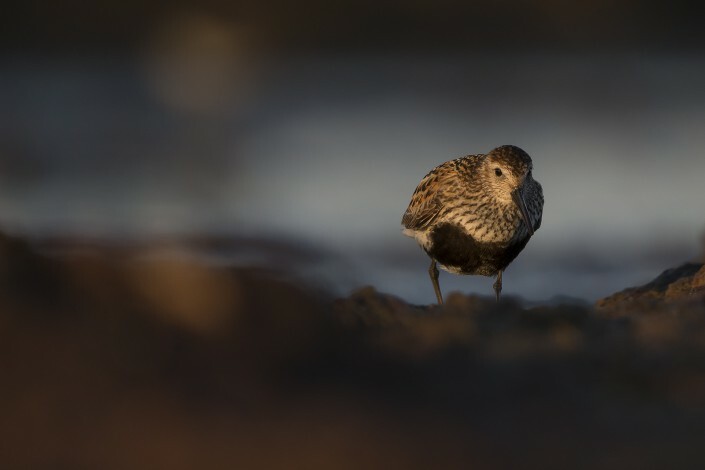 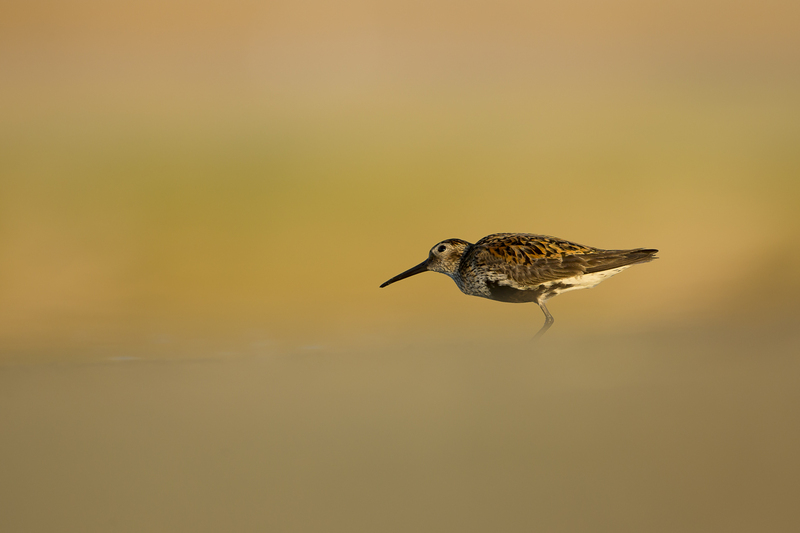 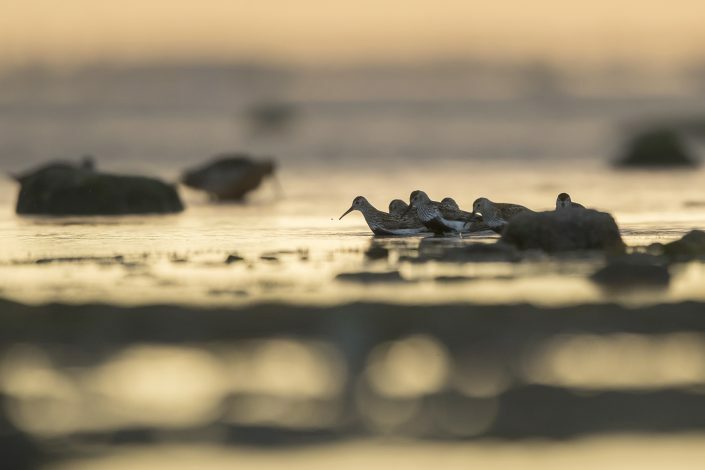 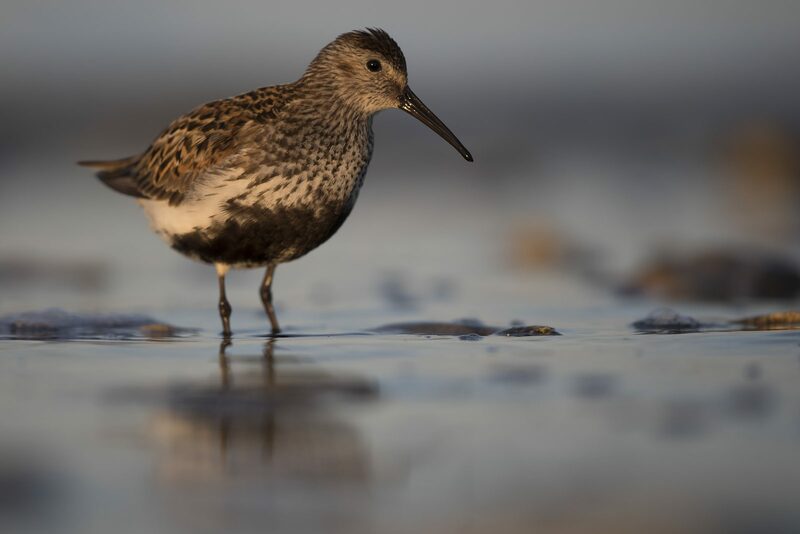 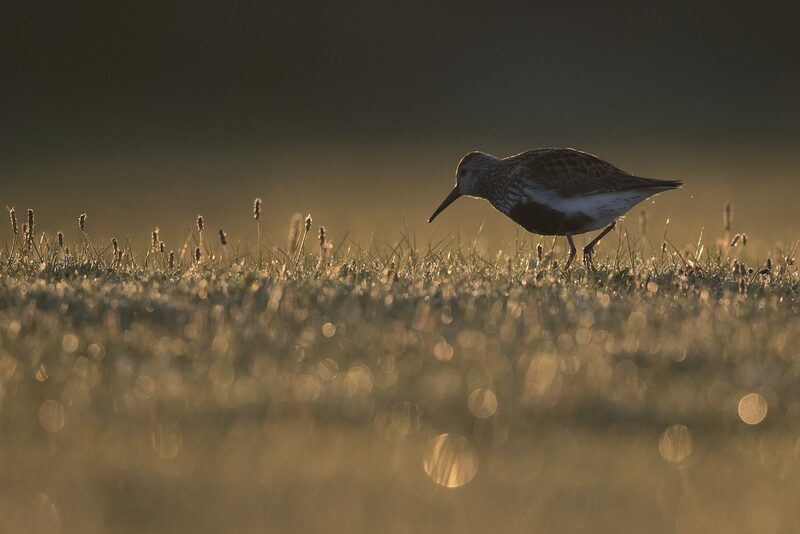 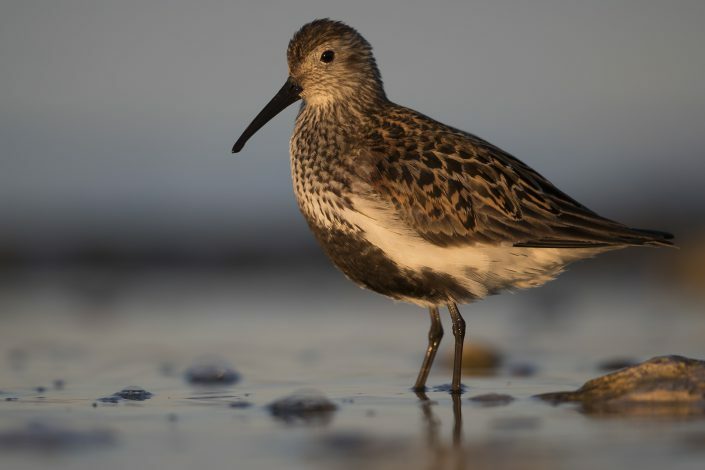 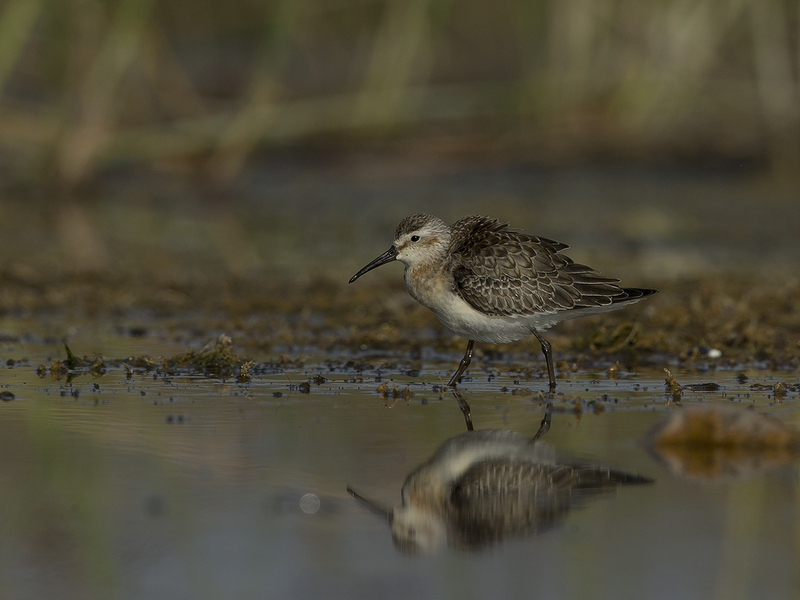 This bird is one of the most common and best-known waders throughout its breeding and wintering ranges, and it is the species with which other waders tend to be compared. At 17–21 cm (6.7–8.3 in) length and with a 32–36 cm (13–14 in) wingspan, it is similar in size to a common starling, but stouter, with a thicker bill. 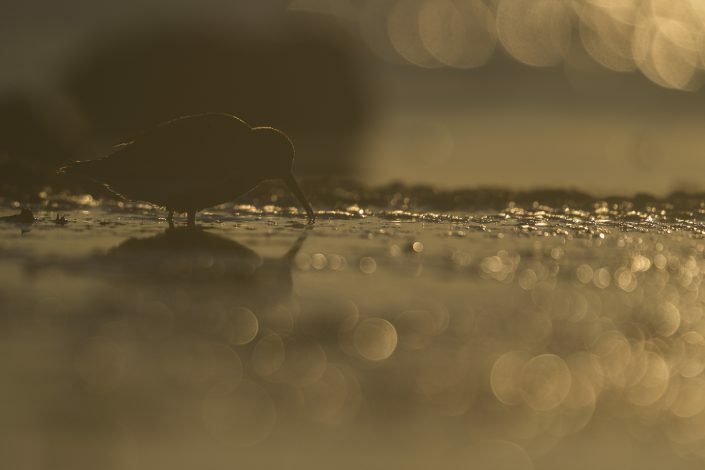 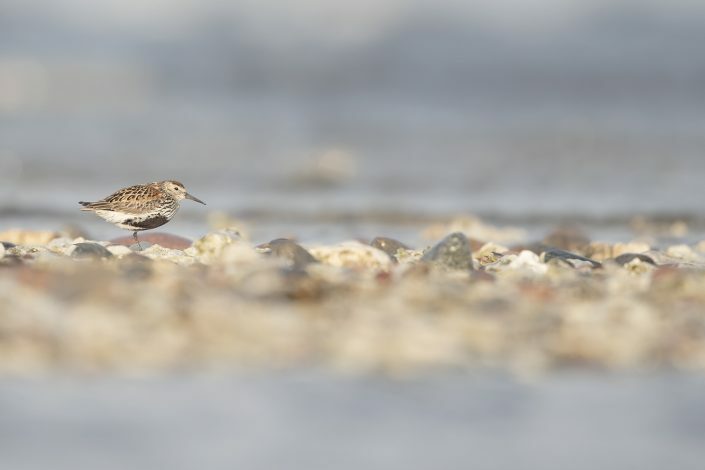 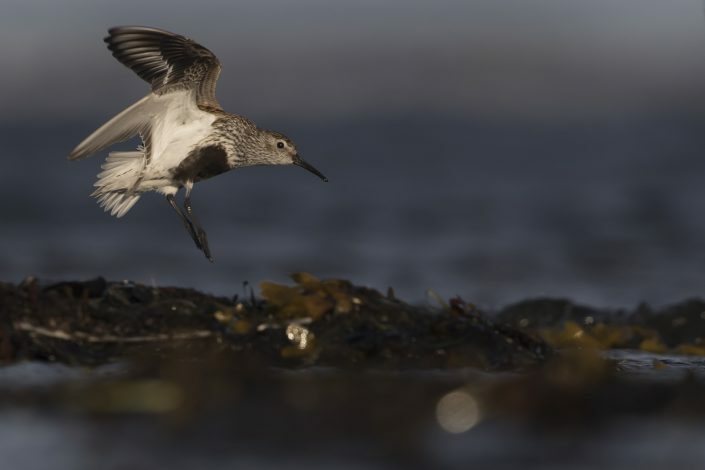 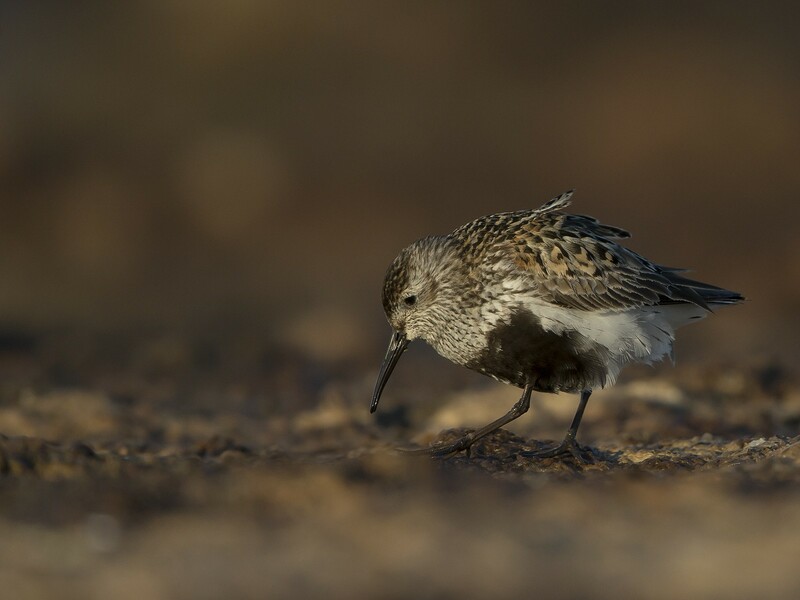 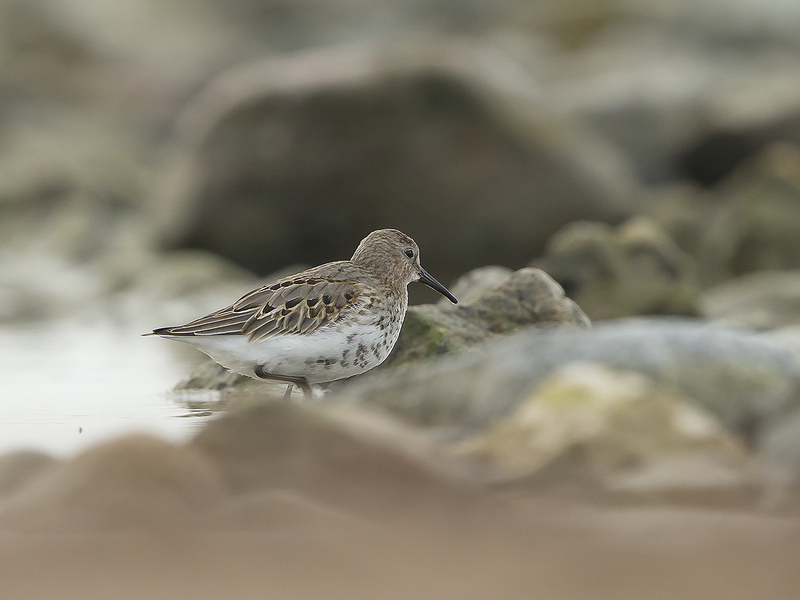 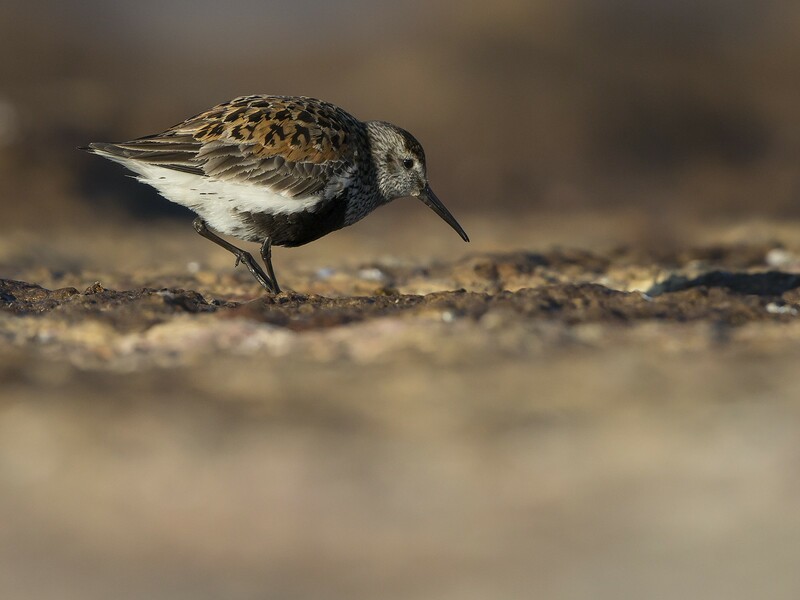 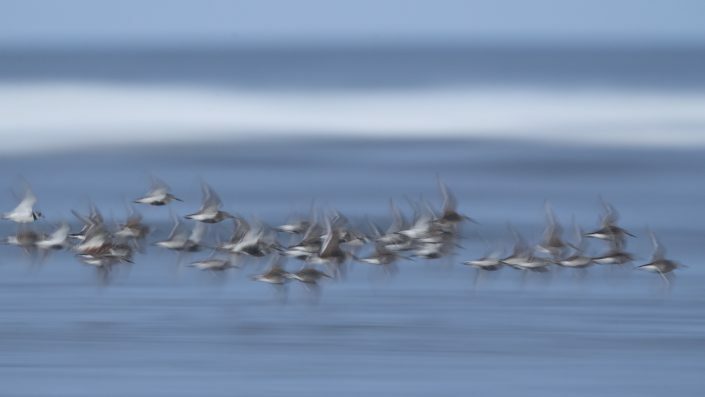 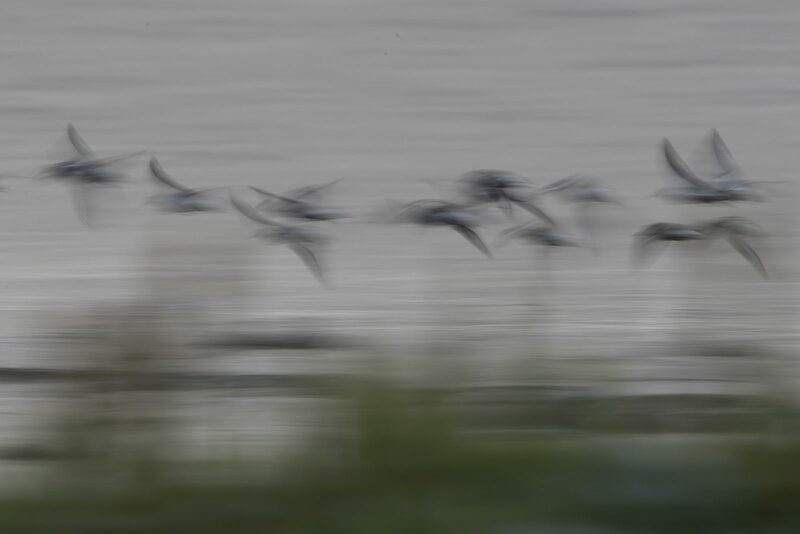 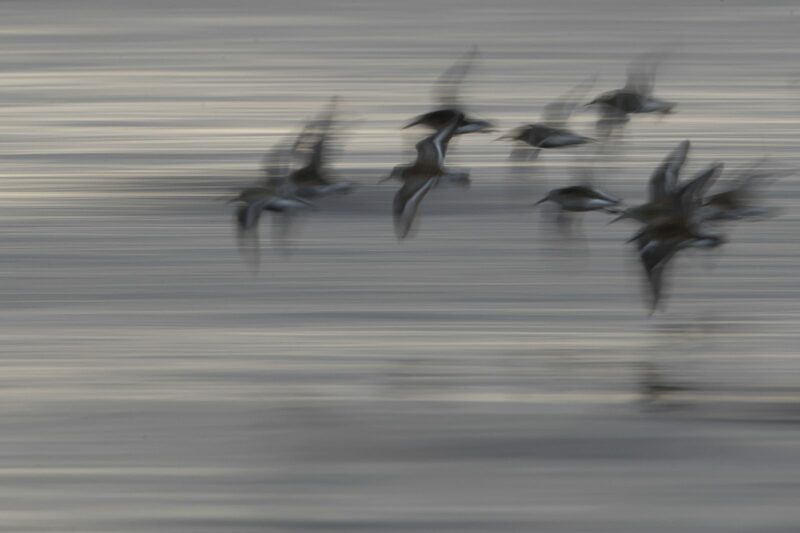 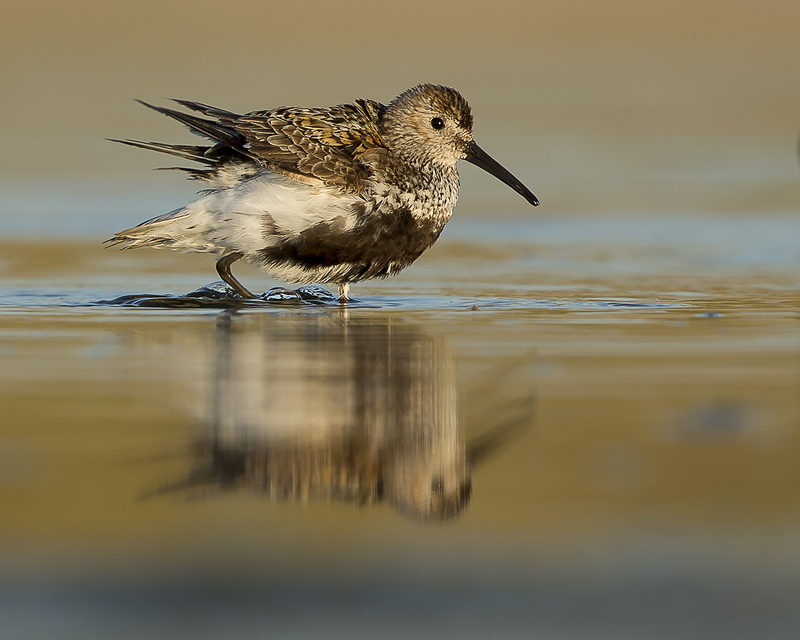 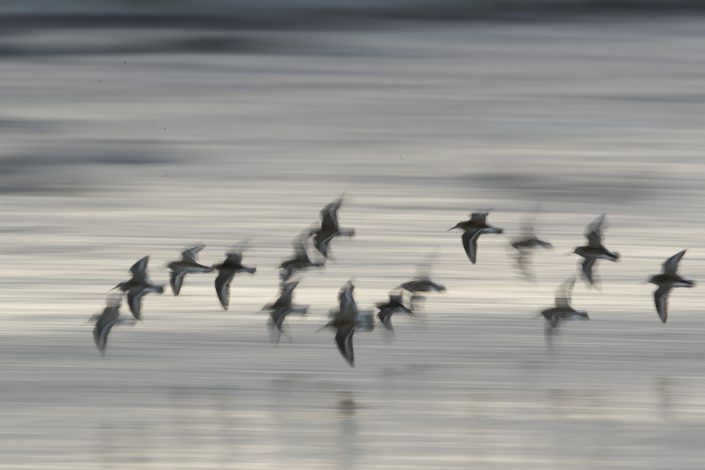 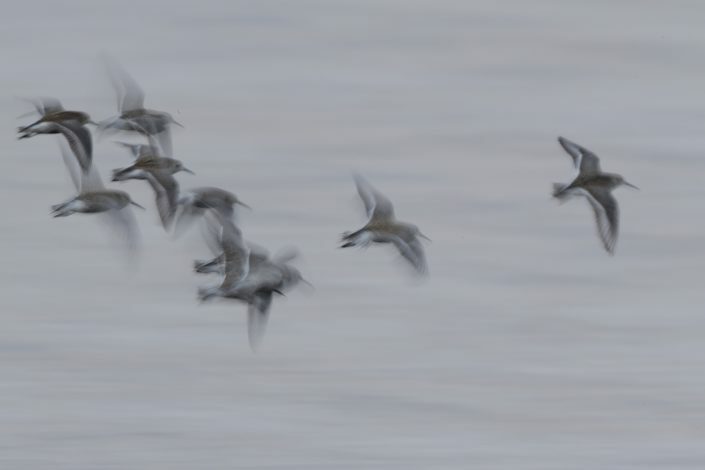 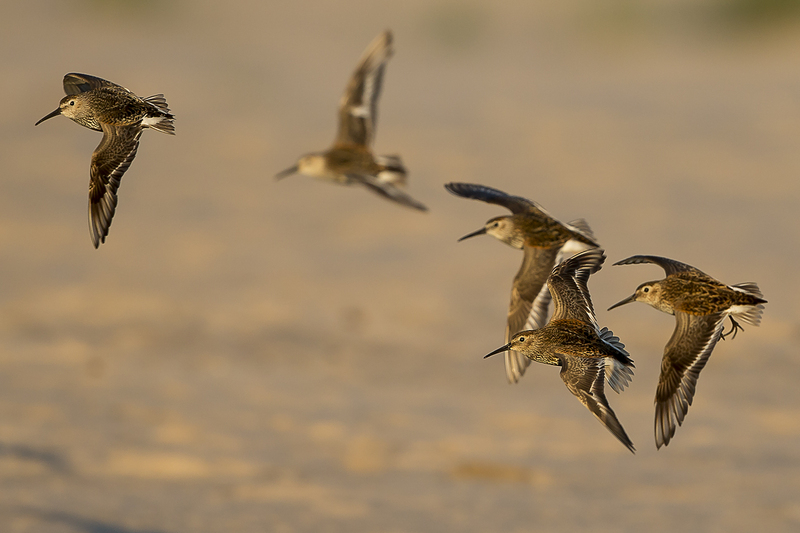 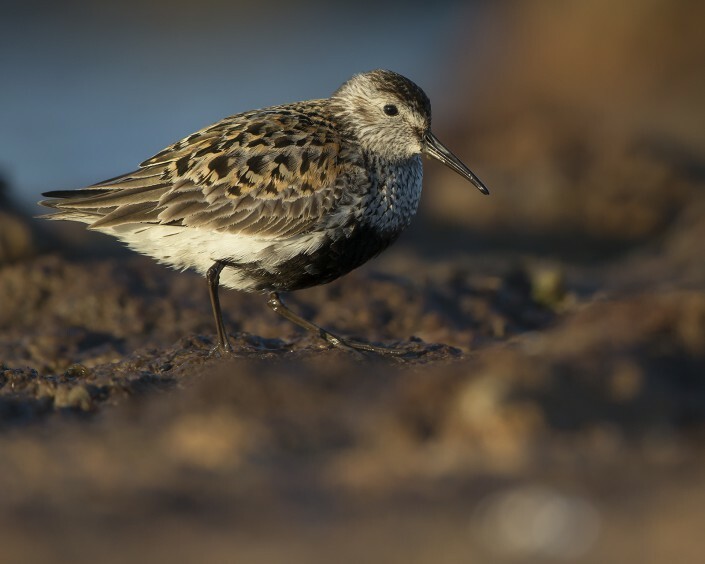 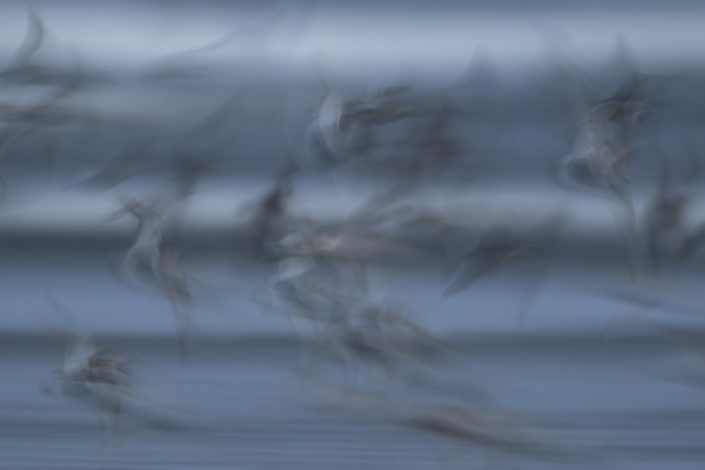 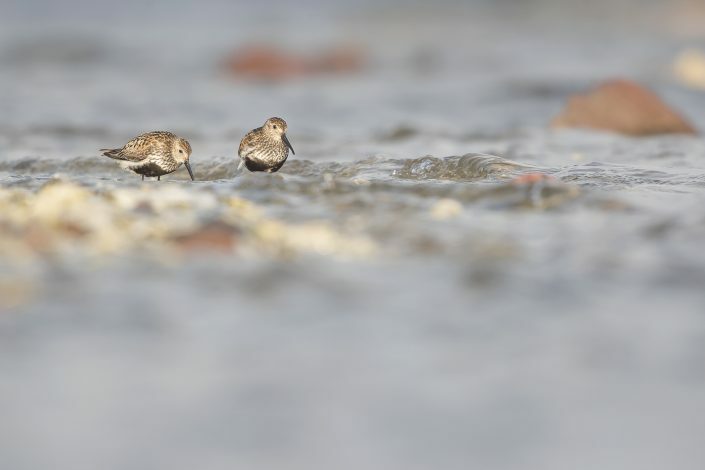 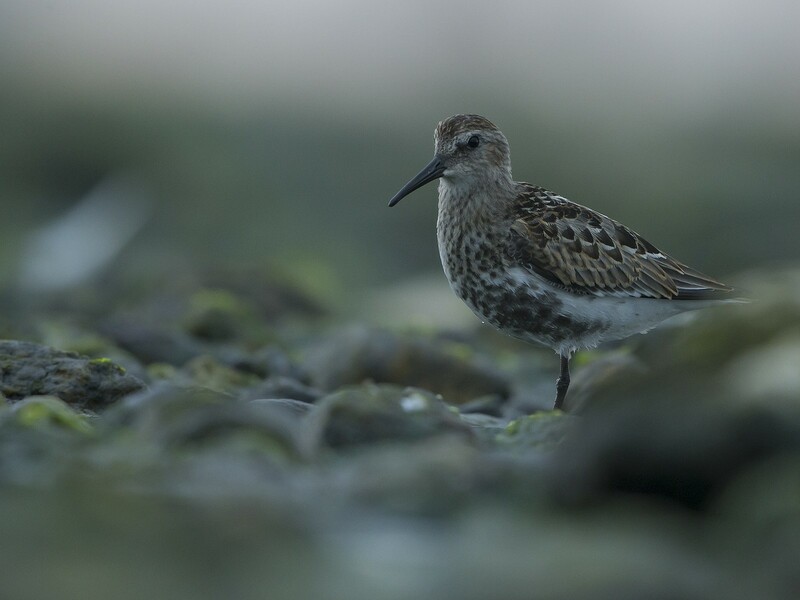 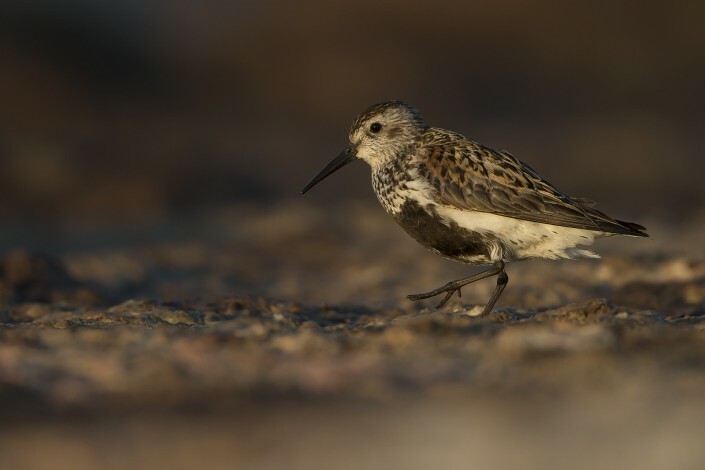 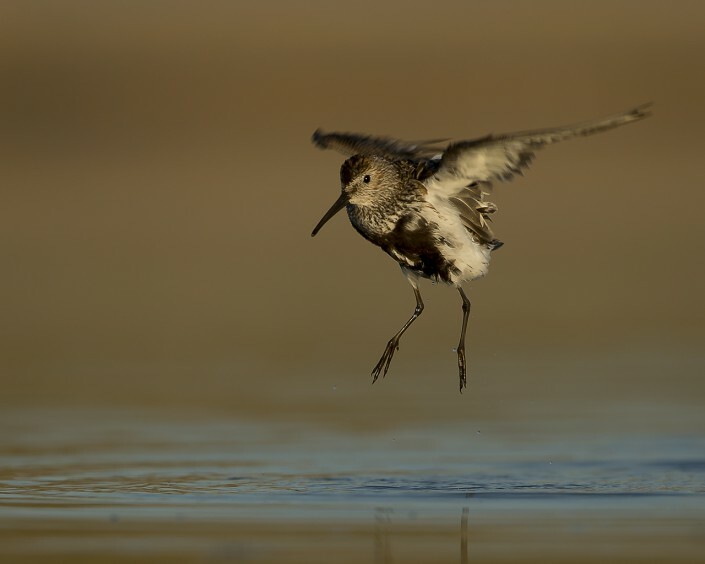 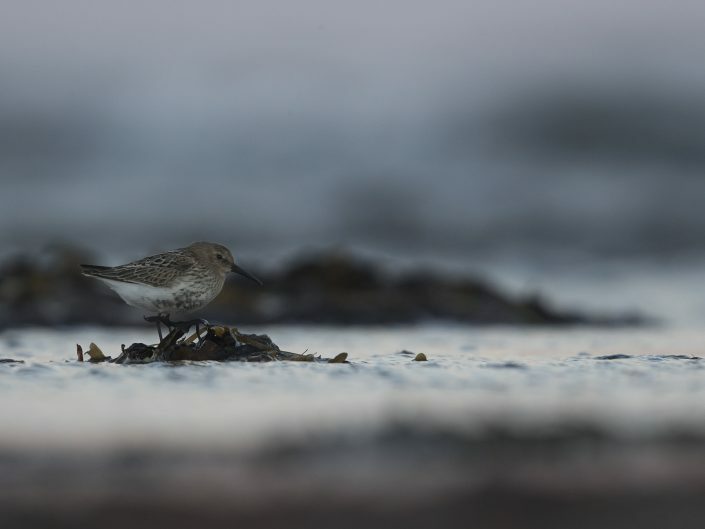 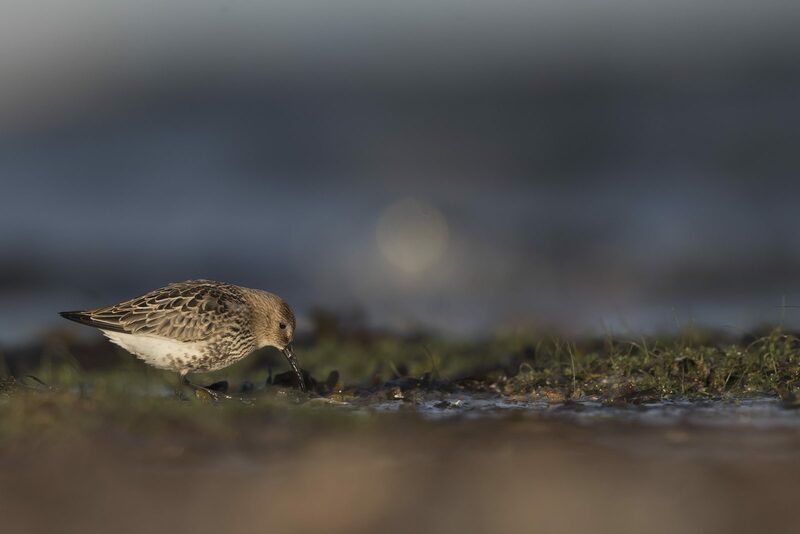 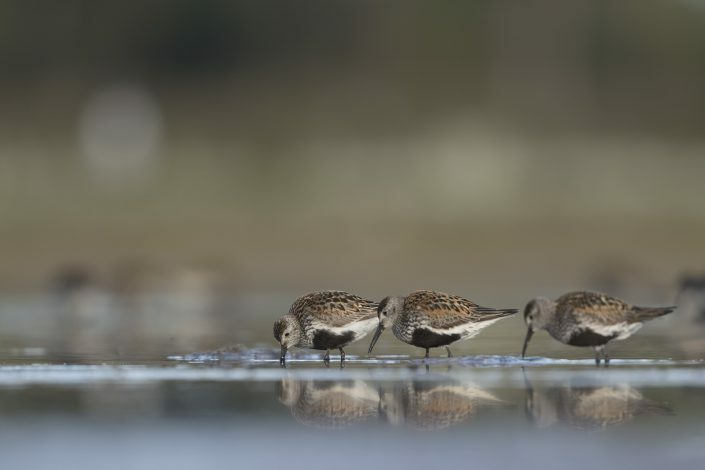 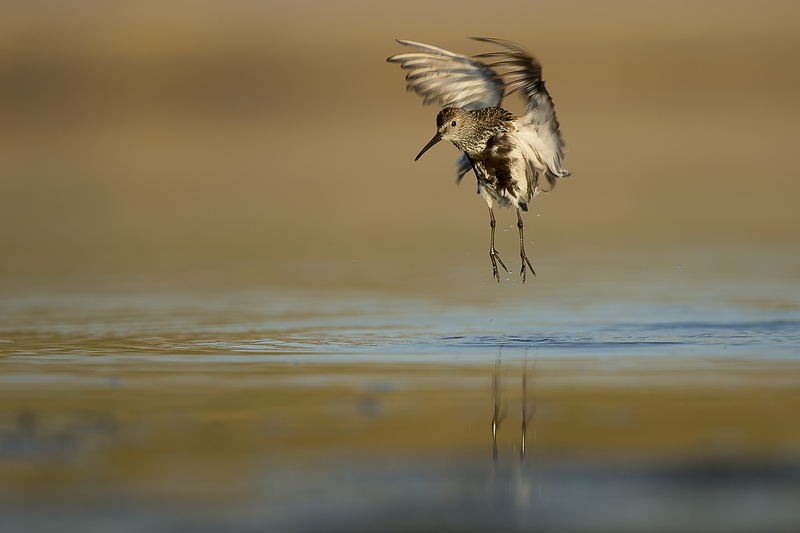 The dunlin moves along the coastal mudflat beaches it prefers with a characteristic “sewing machine” feeding action, methodically picking small food items. 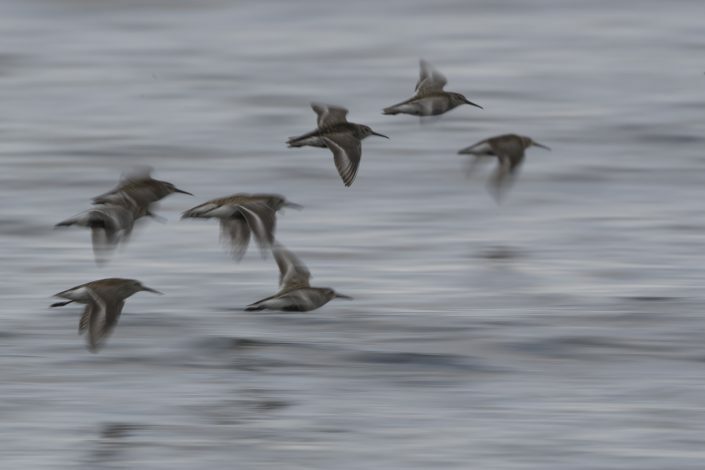 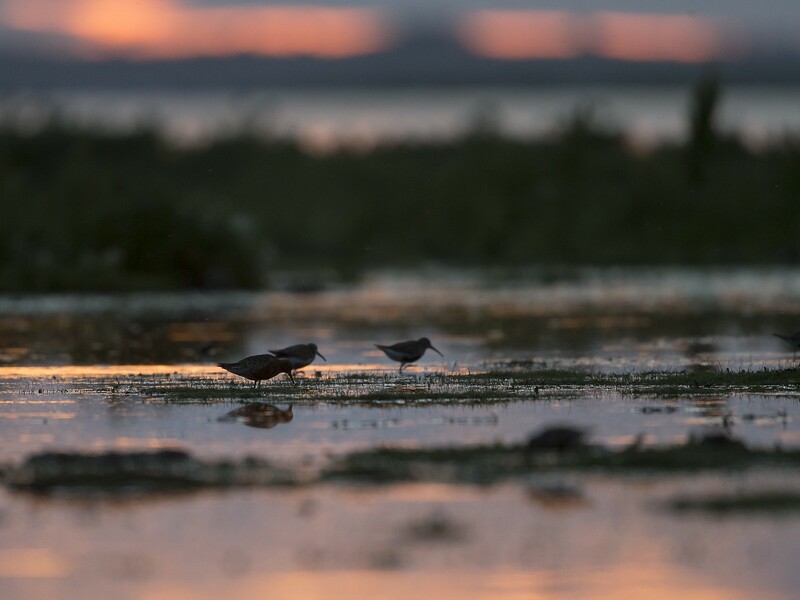 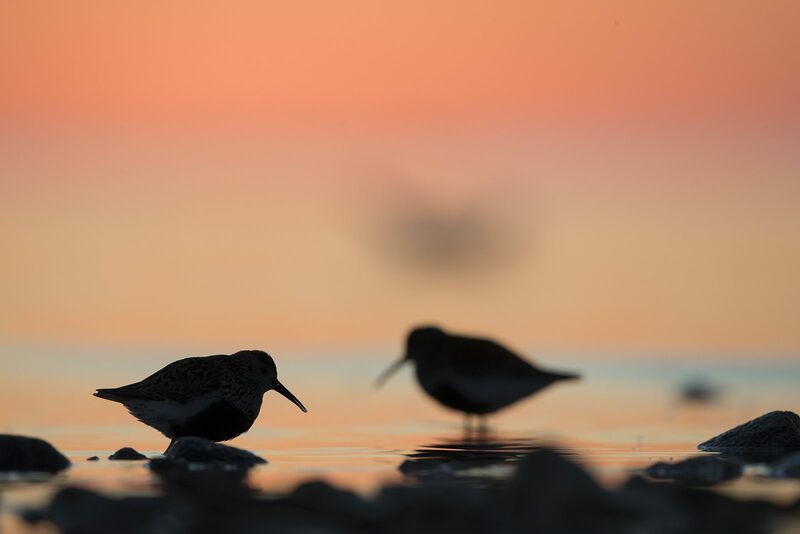 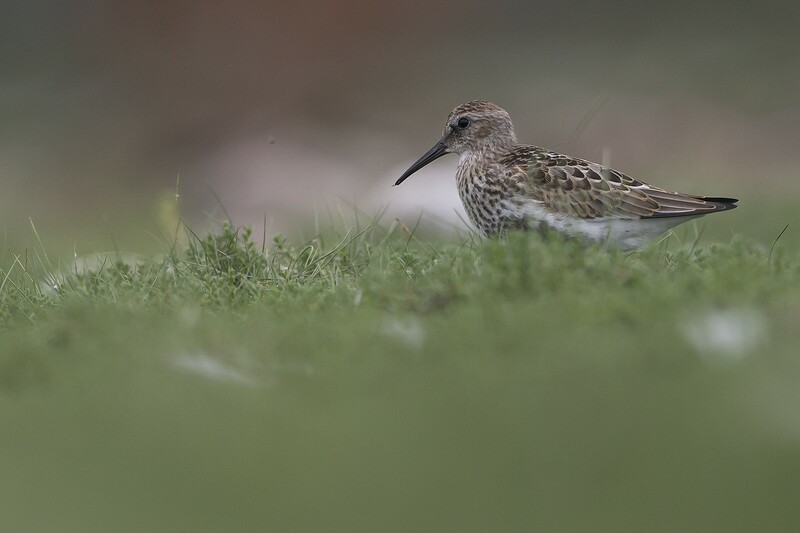 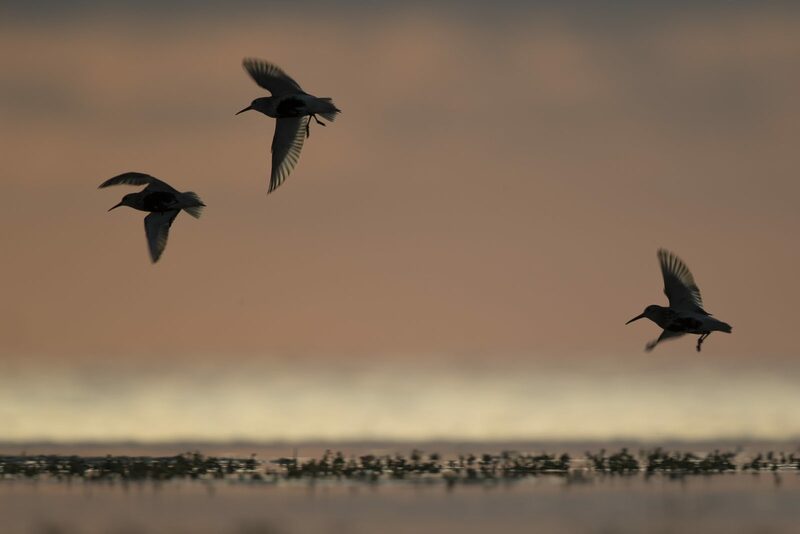 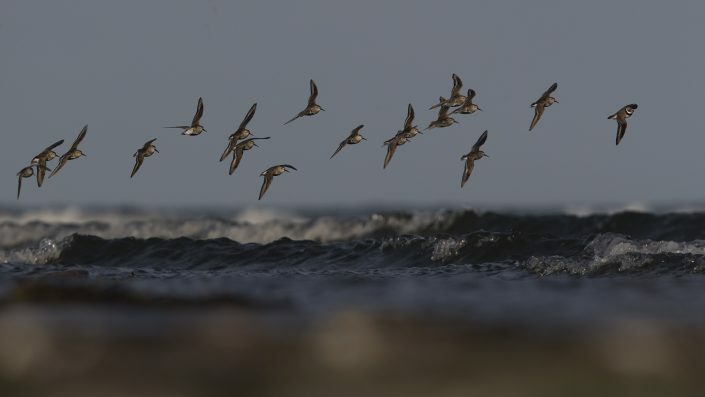 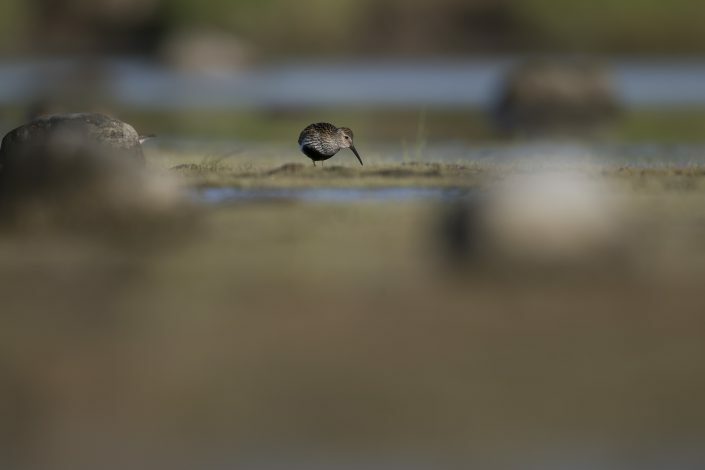 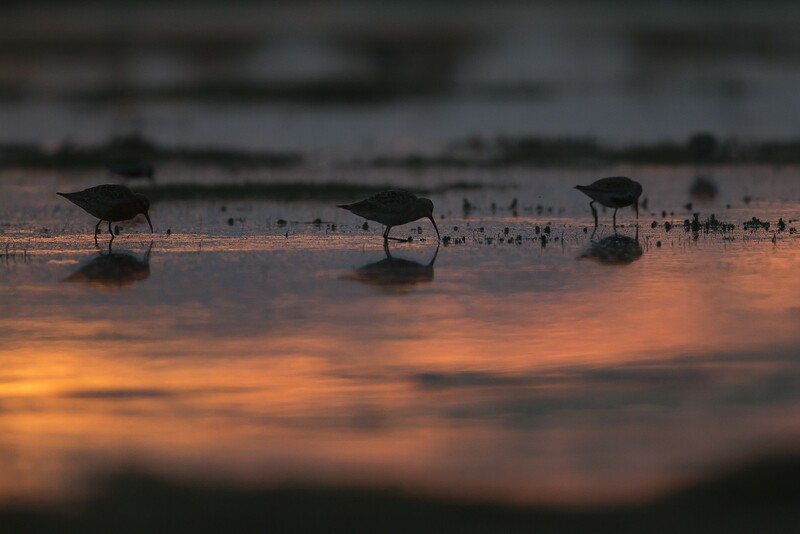 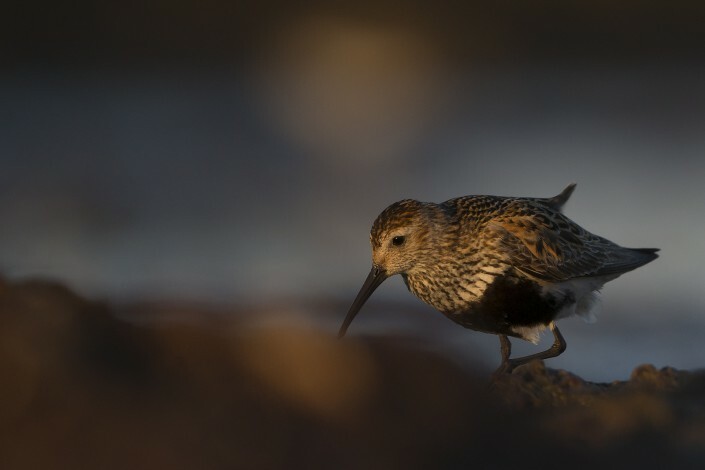 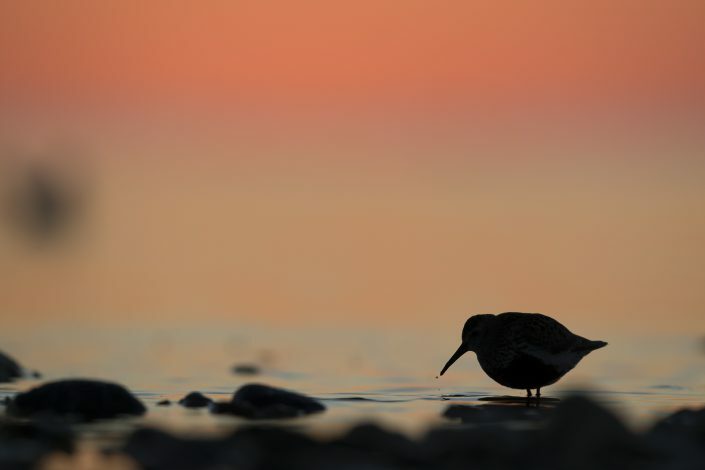 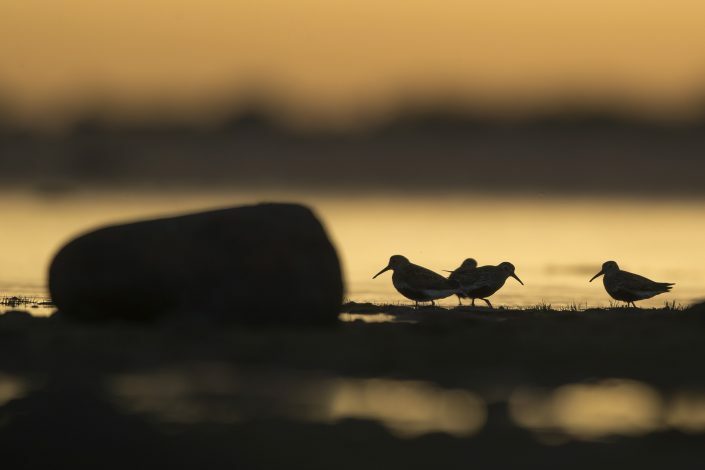 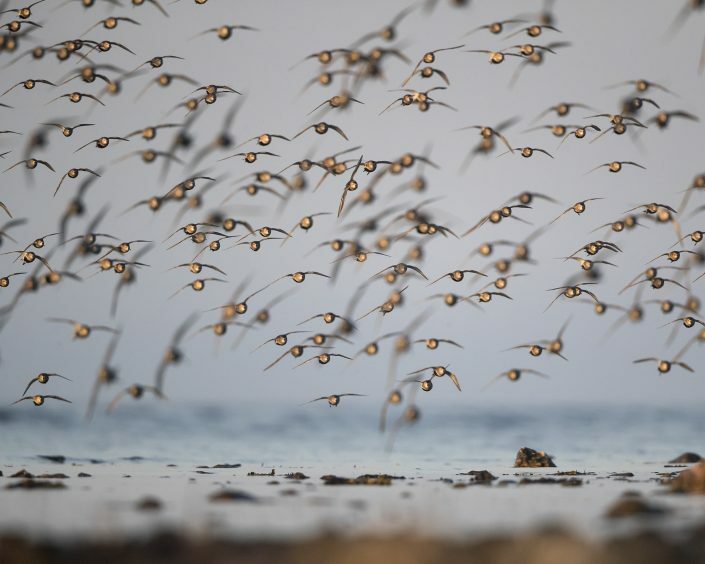 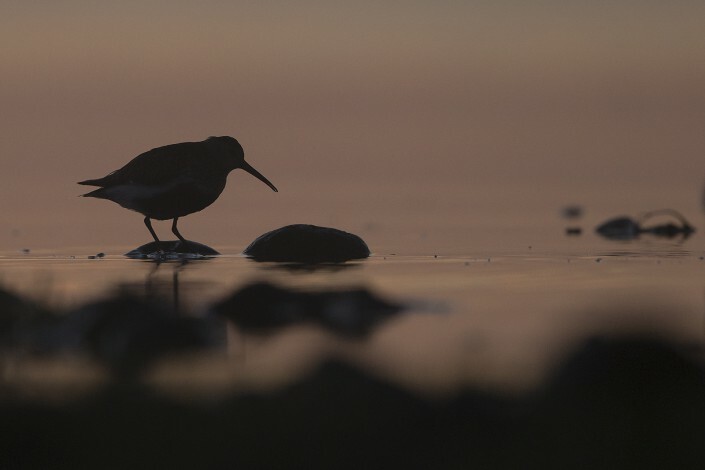 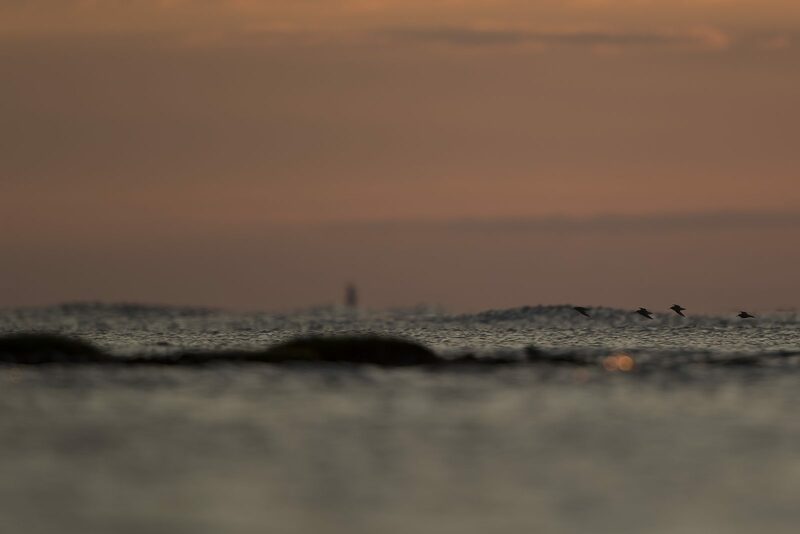 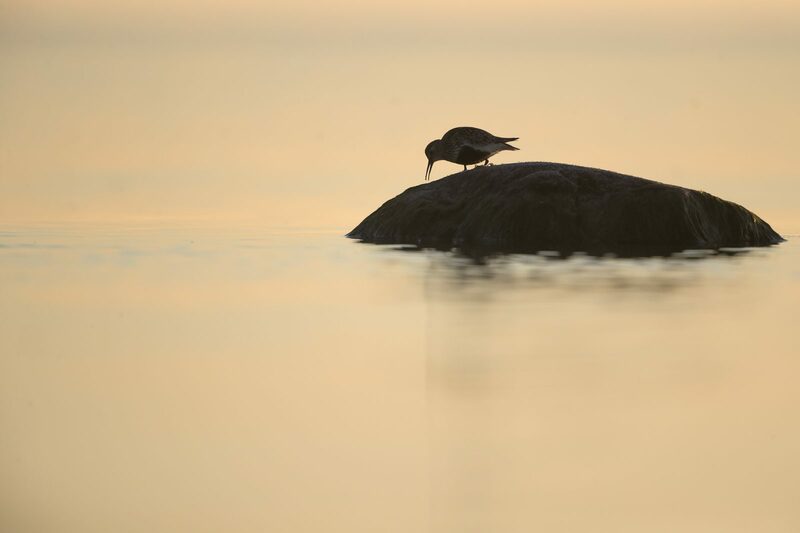 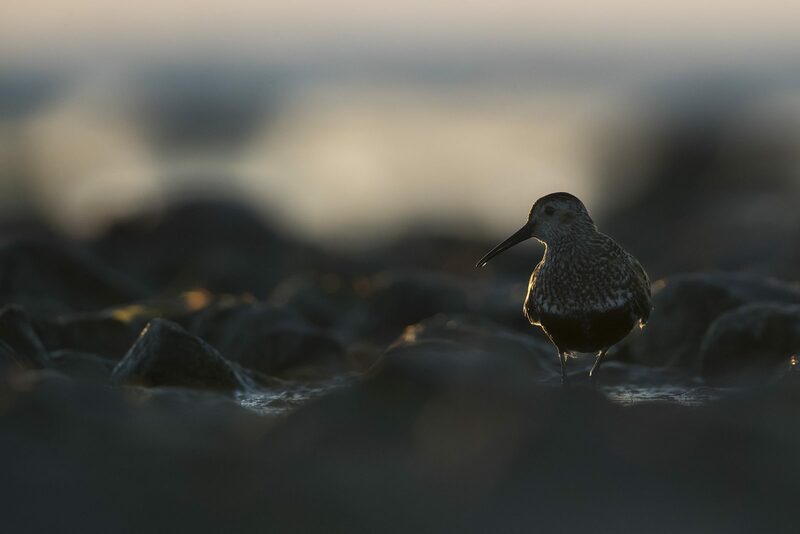 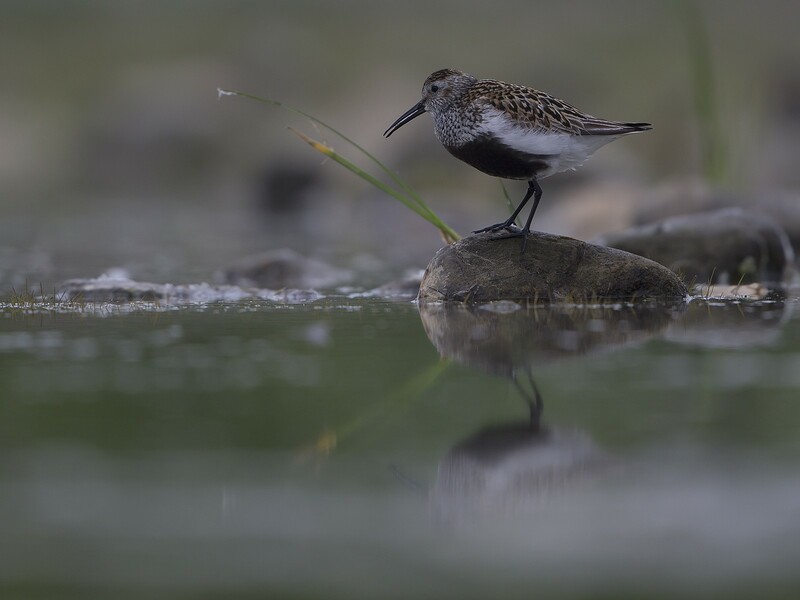 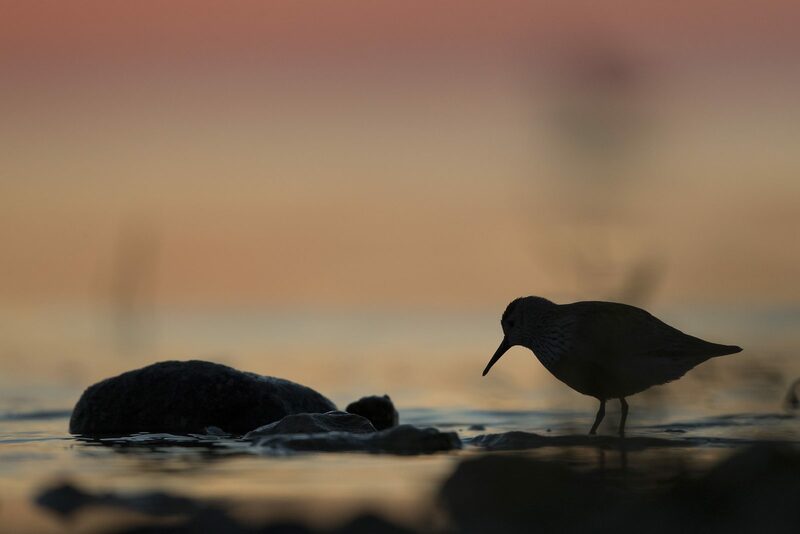 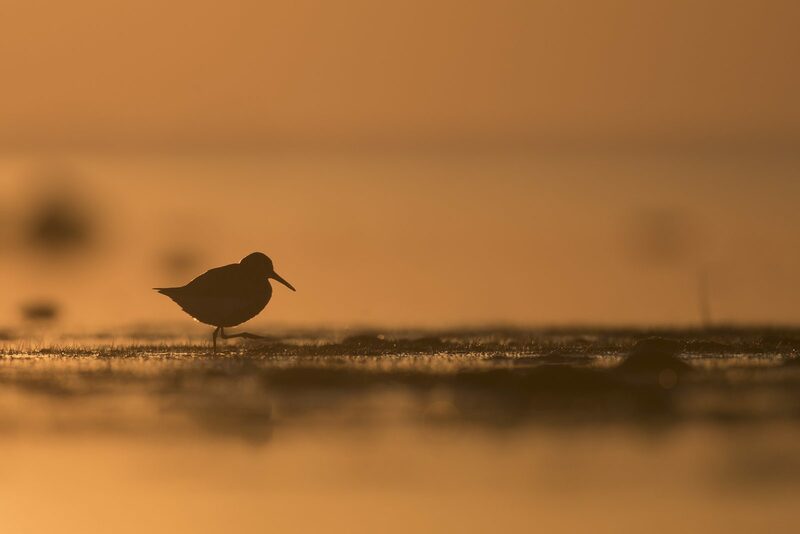 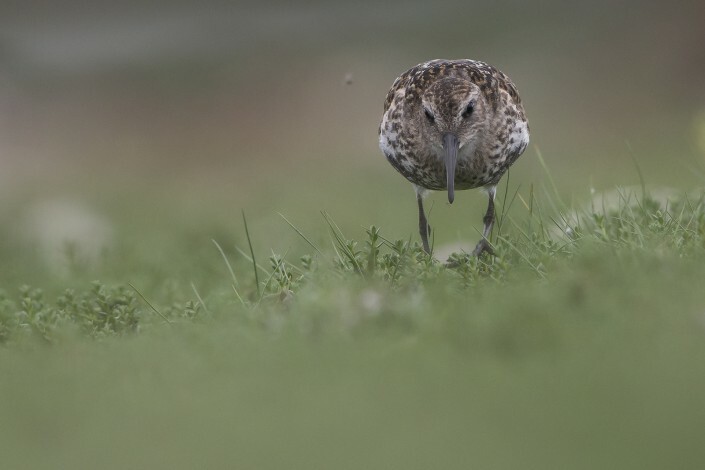 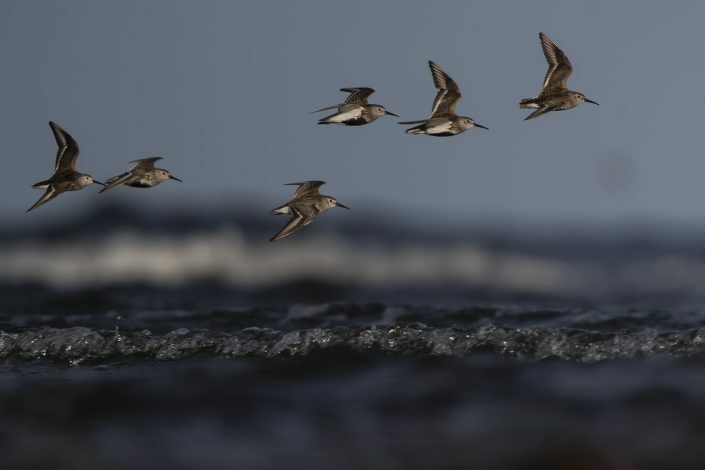 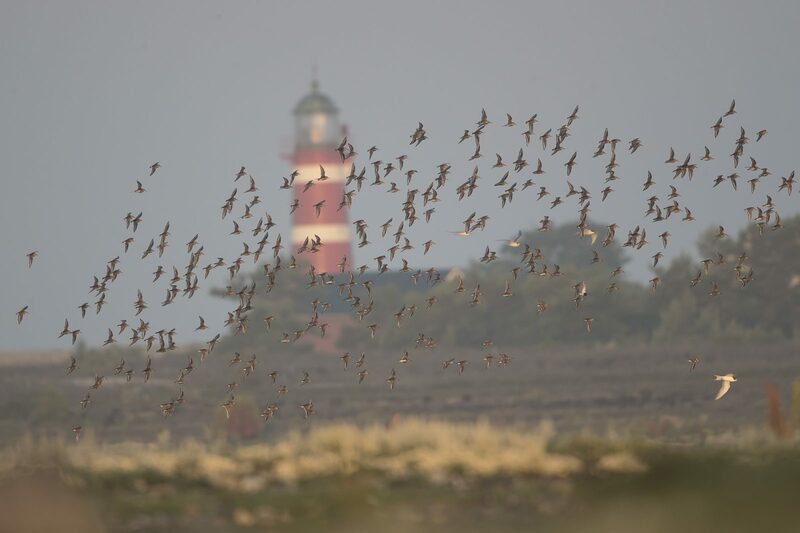 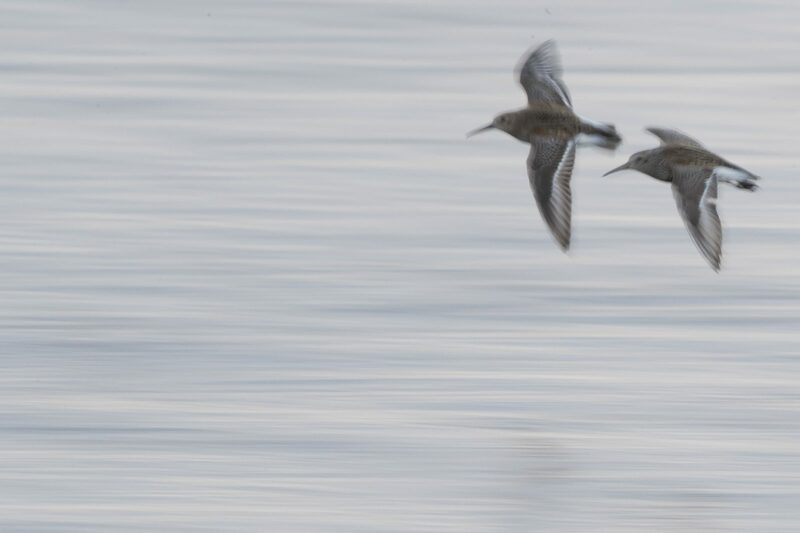 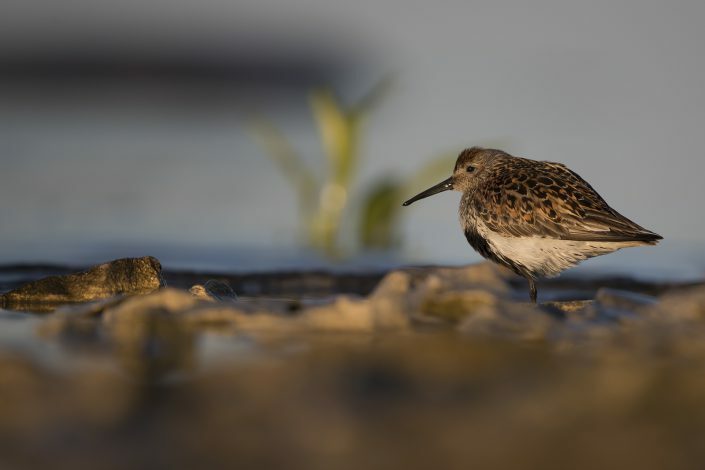 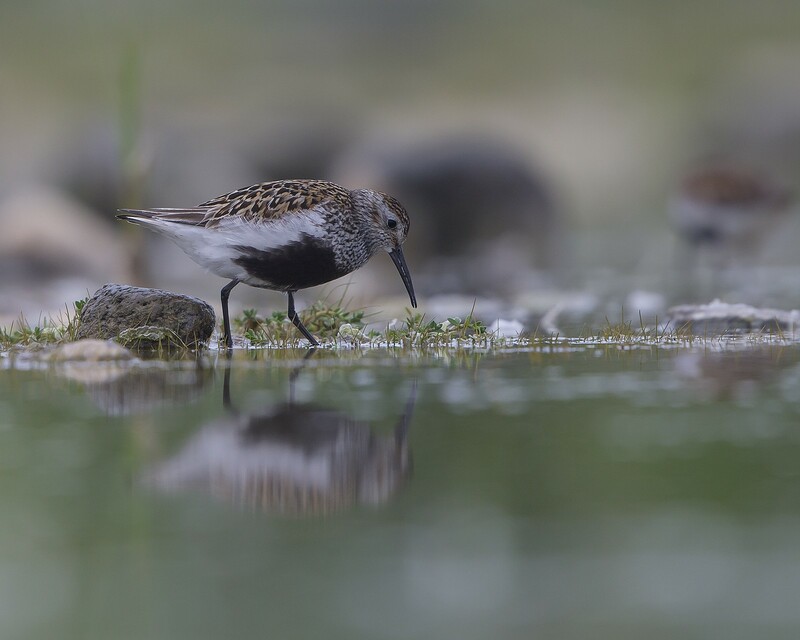 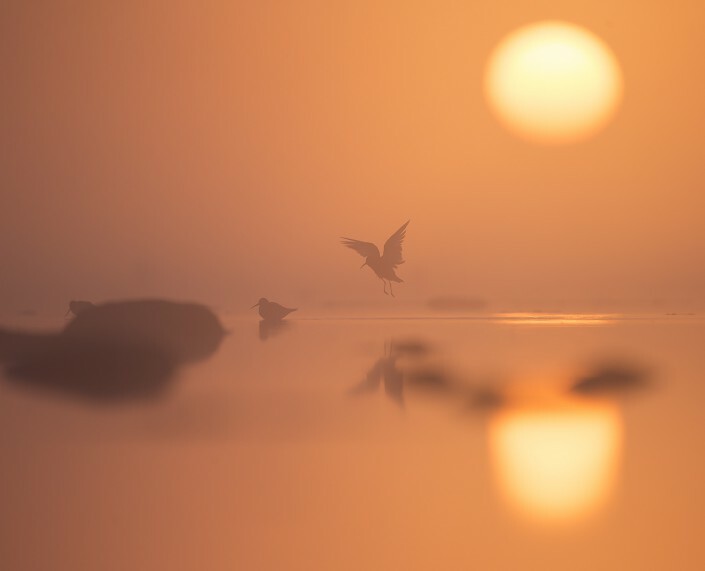 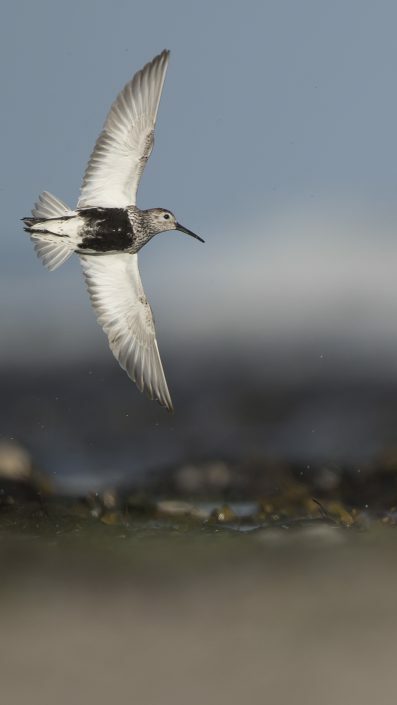 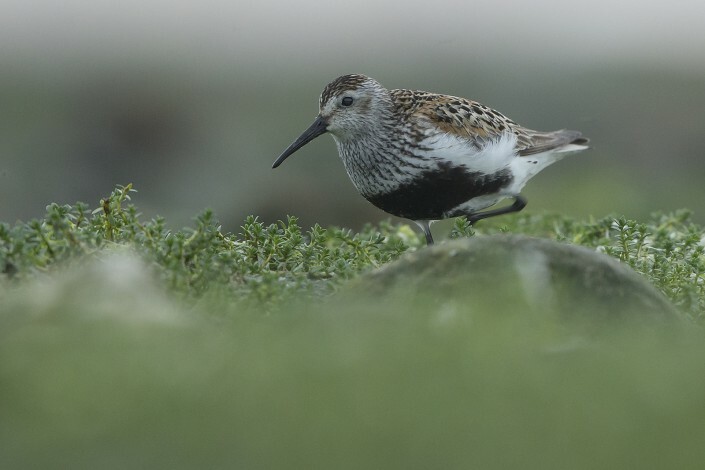 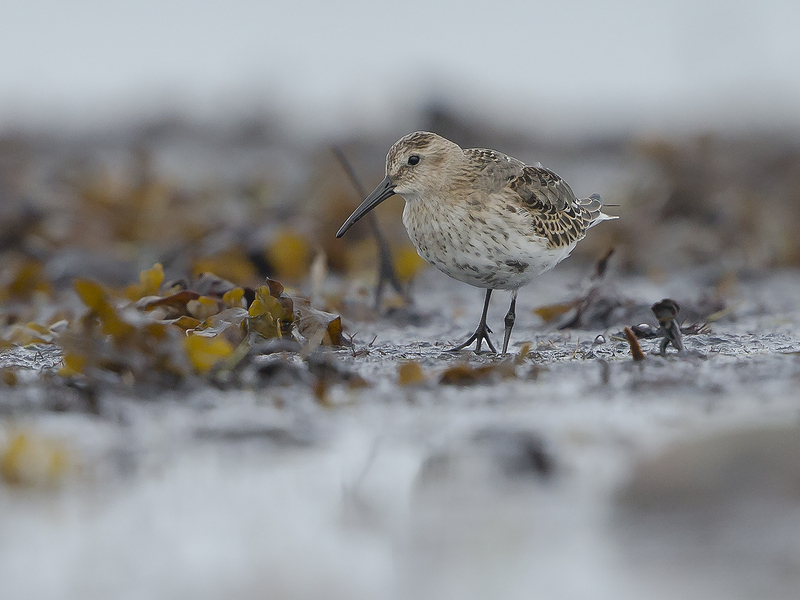 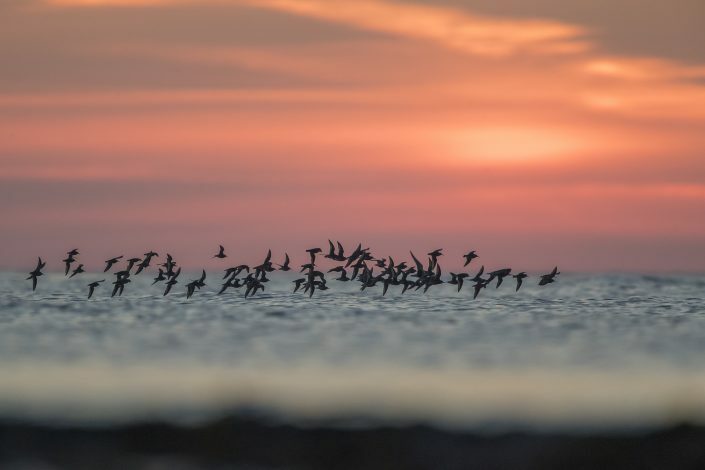 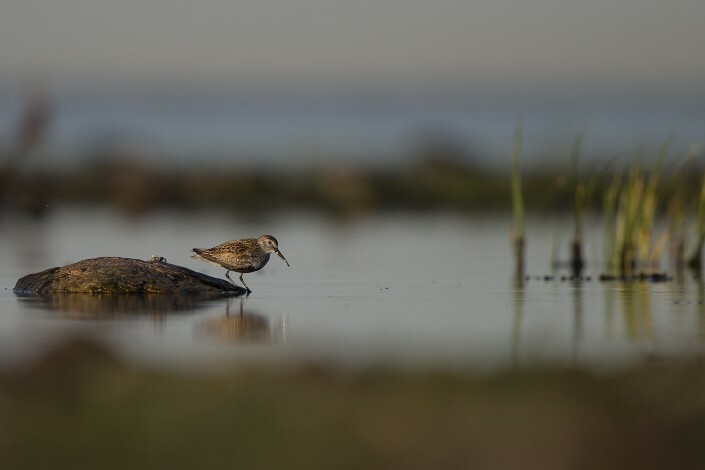 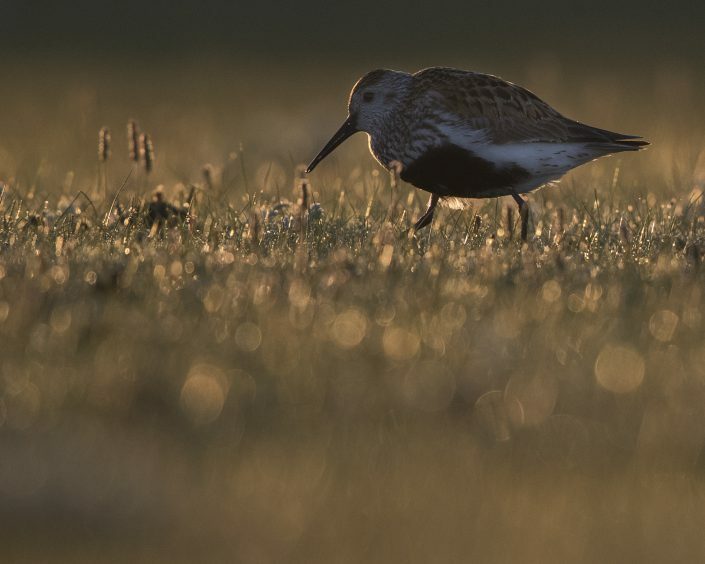 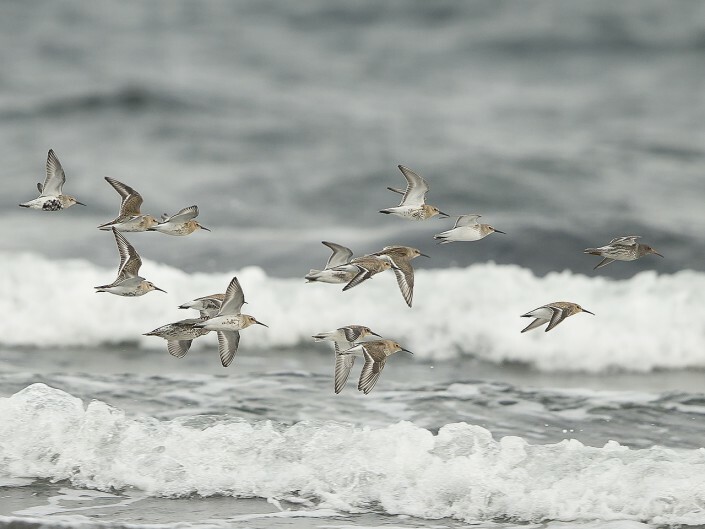 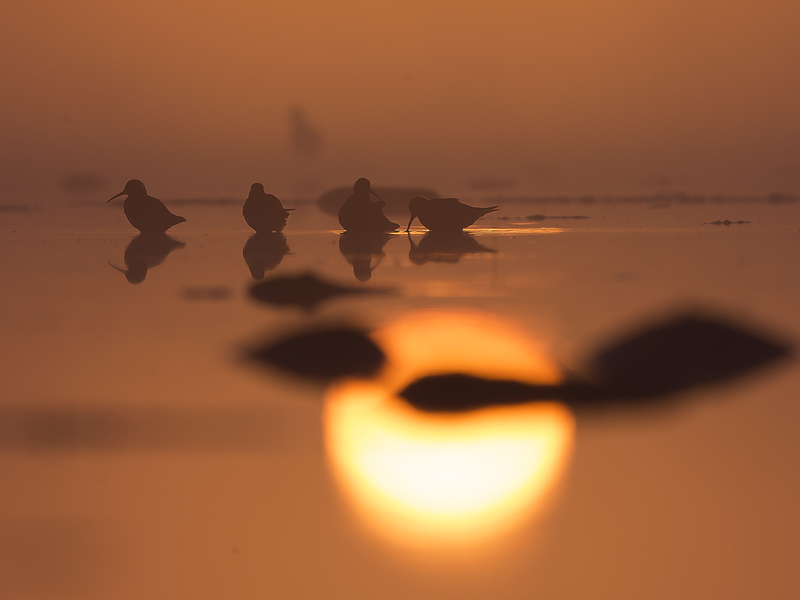 Insects form the main part of the dunlin’s diet on the nesting grounds; it eats molluscs, worms and crustaceans in coastal areas. 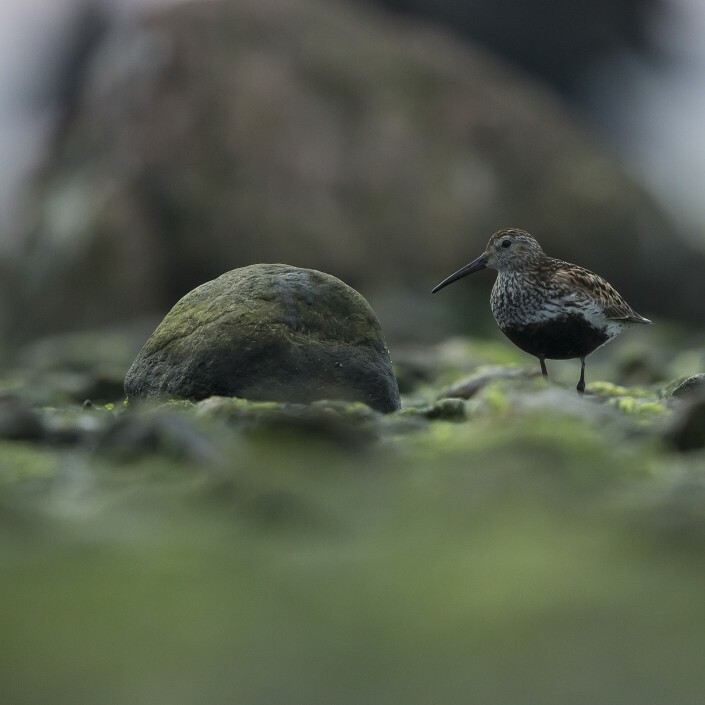 The nest is a shallow scrape on the ground lined with vegetation, into which typically four eggs are laid and incubated by the male and female parents. 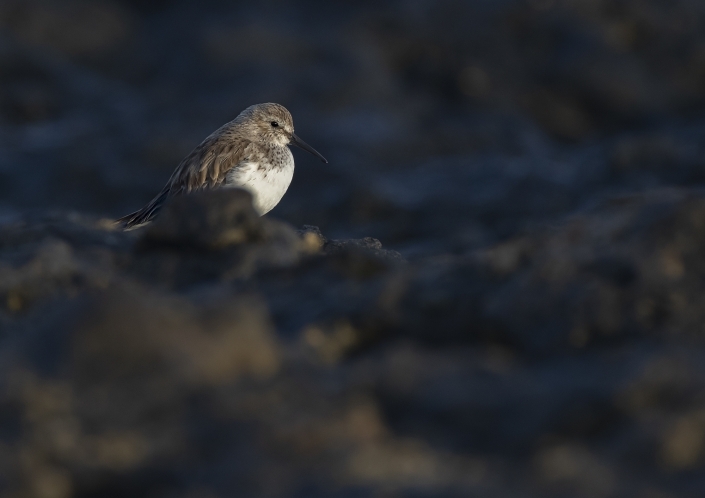 Chicks are precocial, however are brooded during early development. 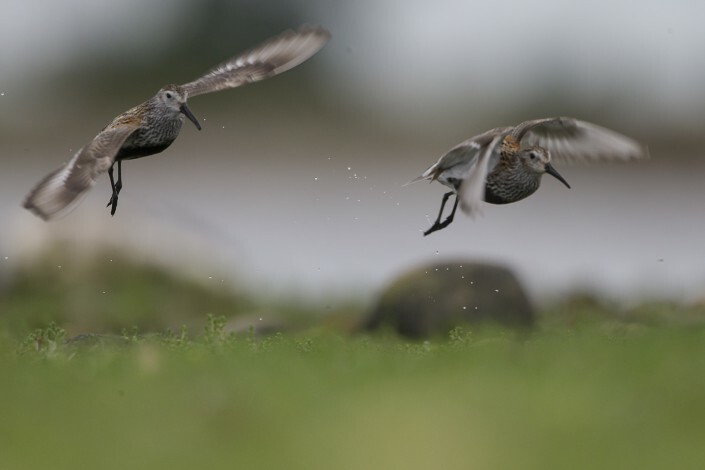 They start to fly at approximately three weeks of age. The majority of brood care is provided by the male, as the female deserts the brood and often leaves the breeding area. 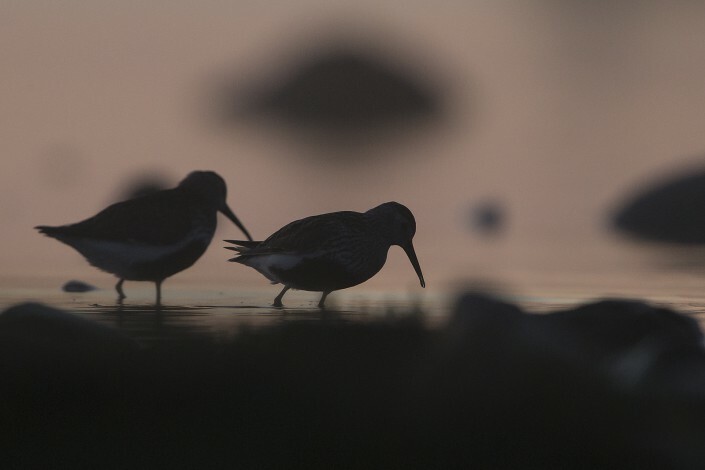 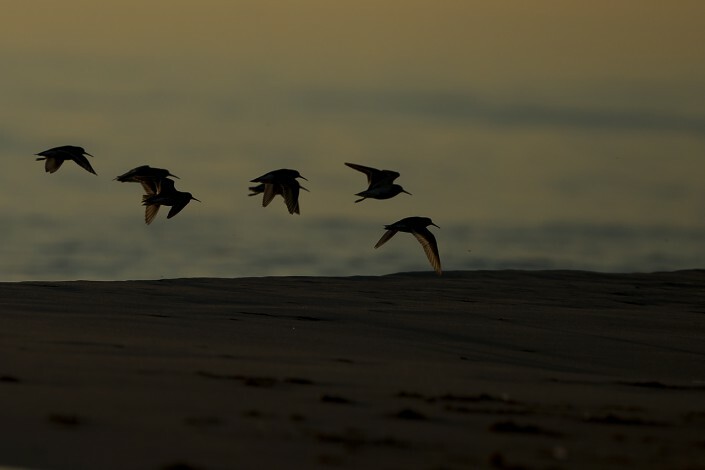 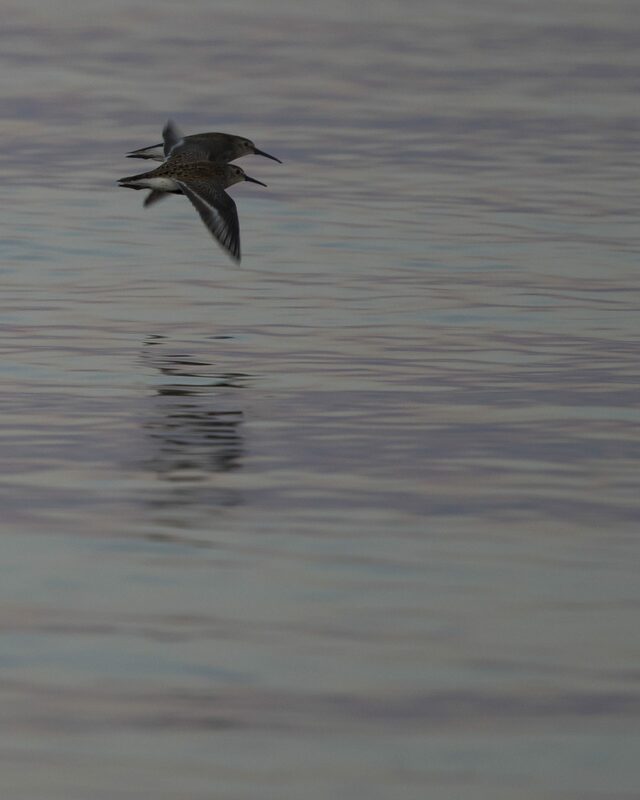 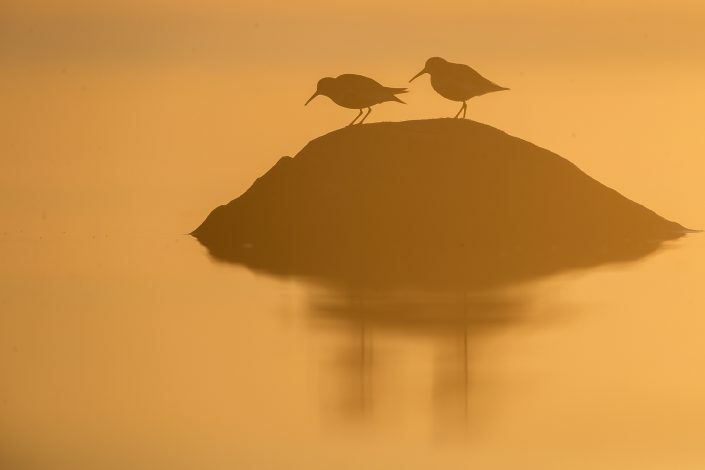 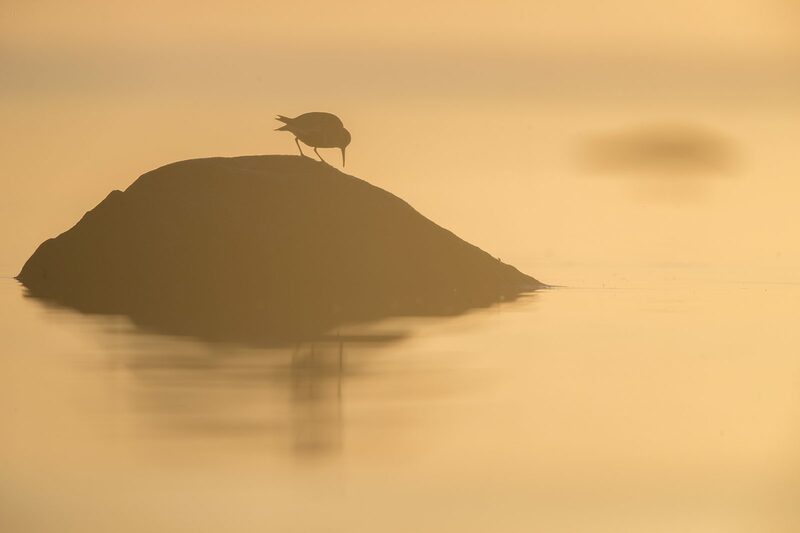 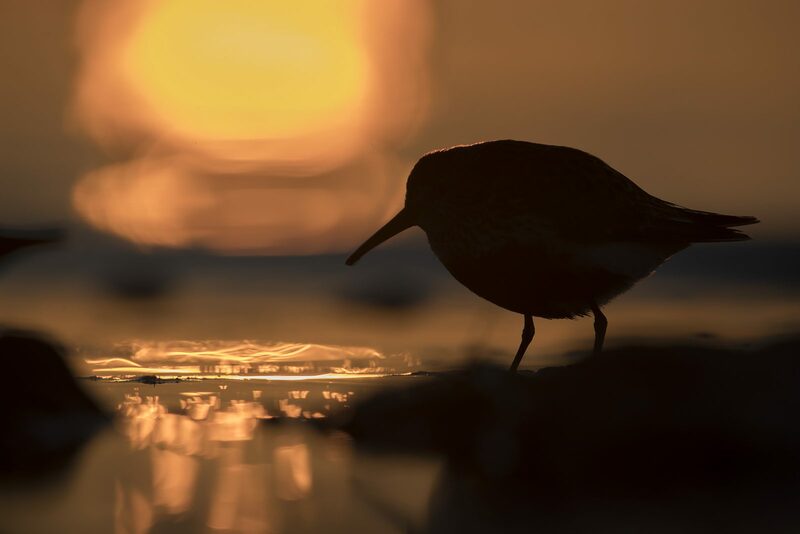 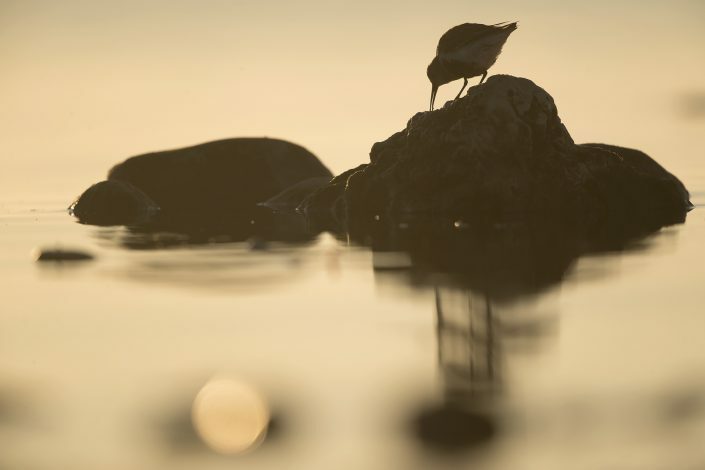 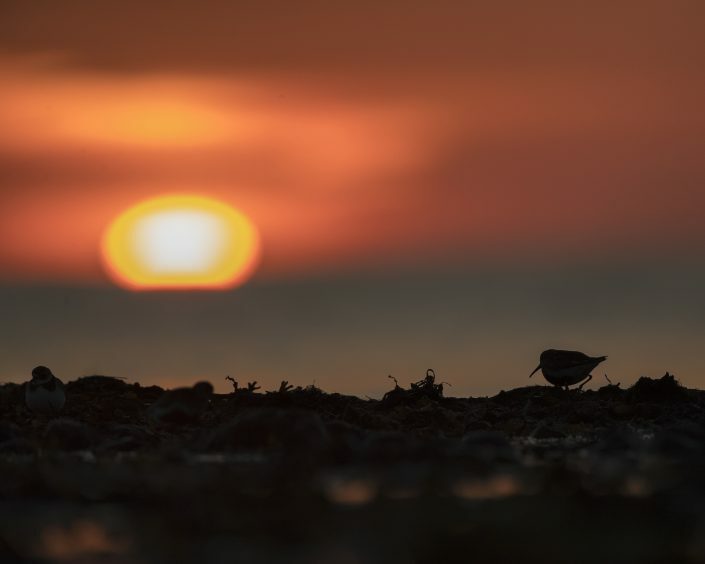 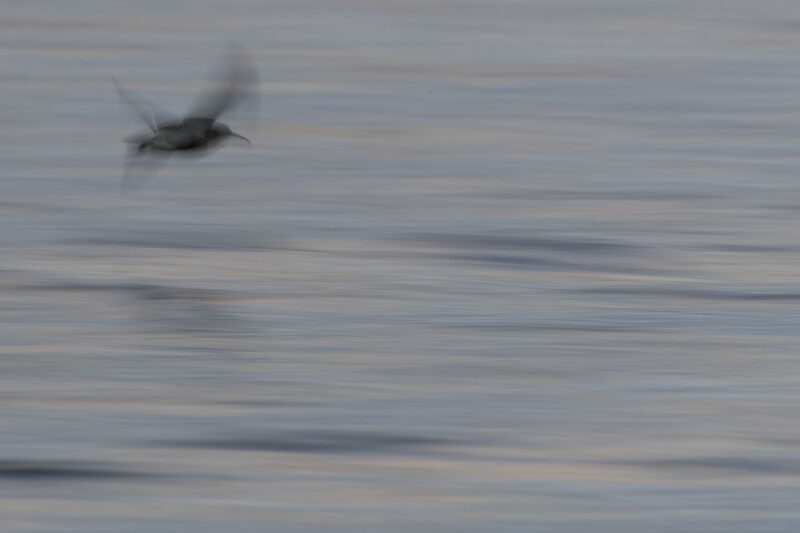 The call is a typical sandpiper “peep”, and the display song a harsh trill.